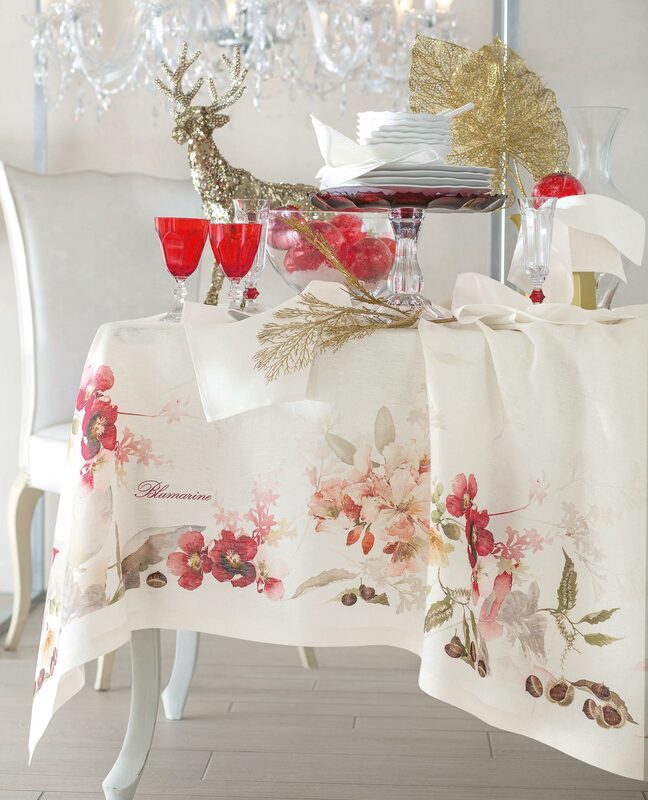 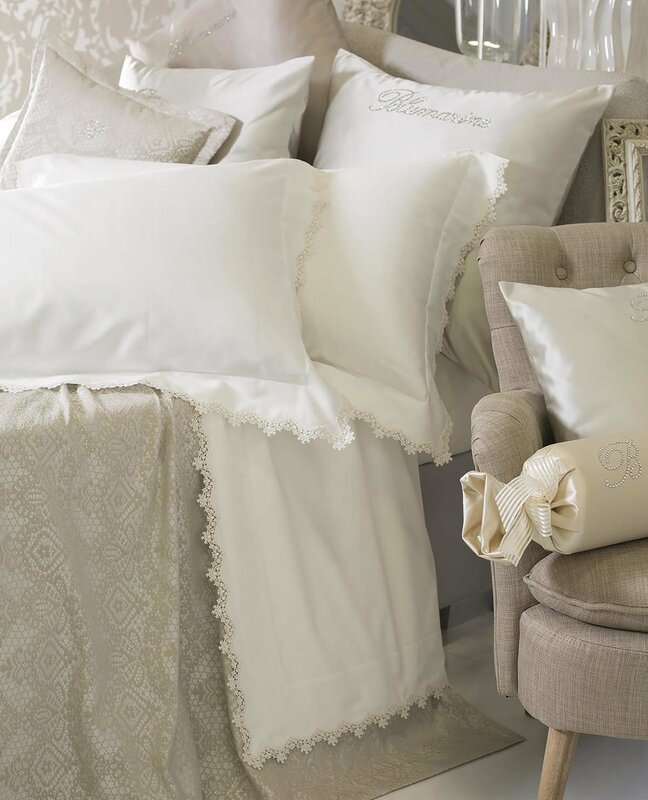 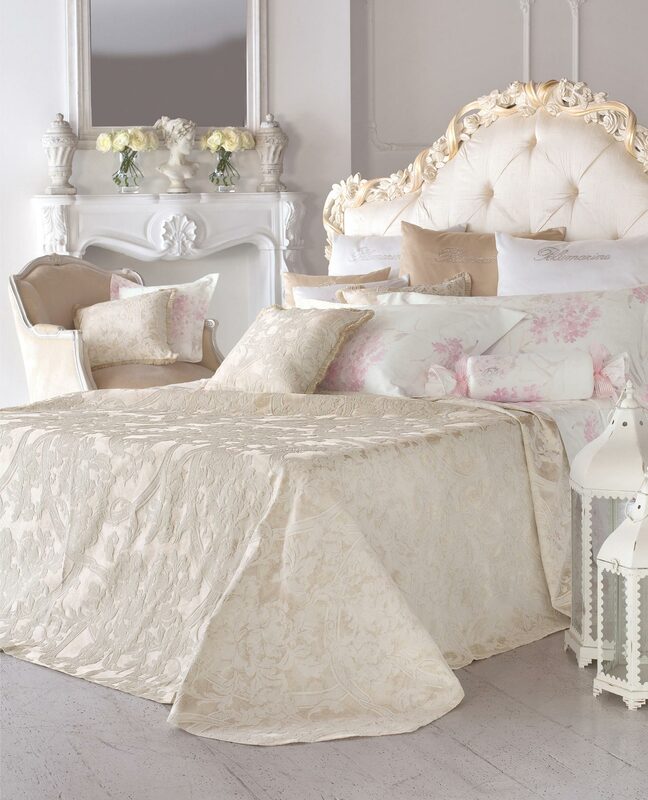 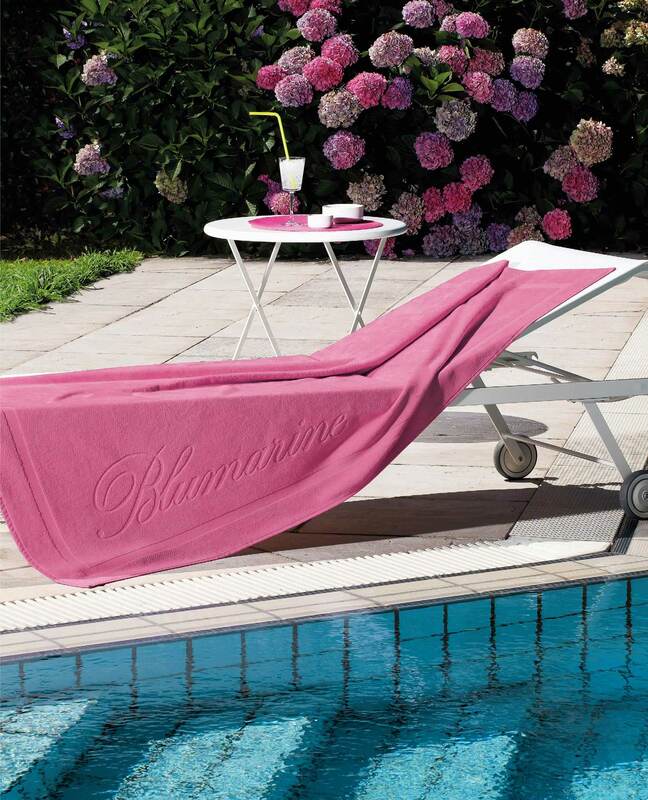 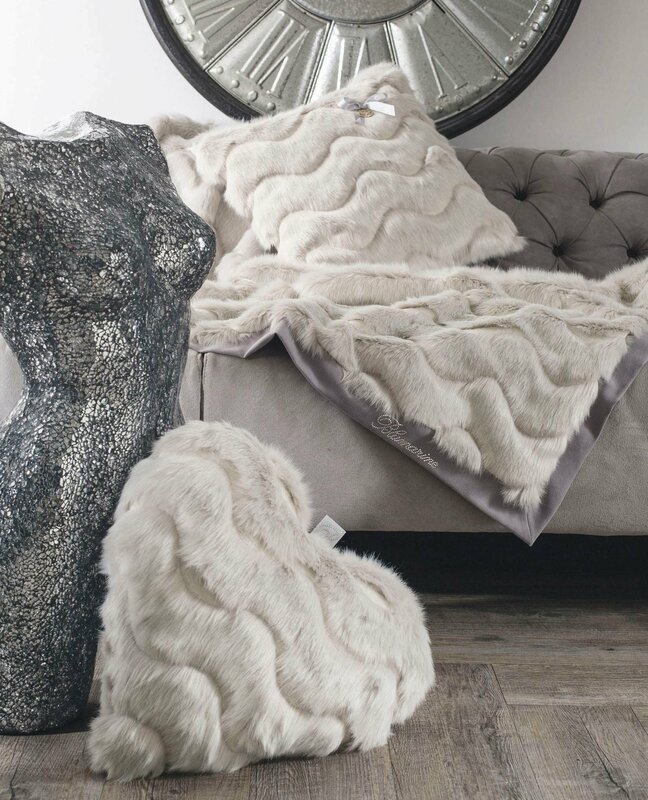 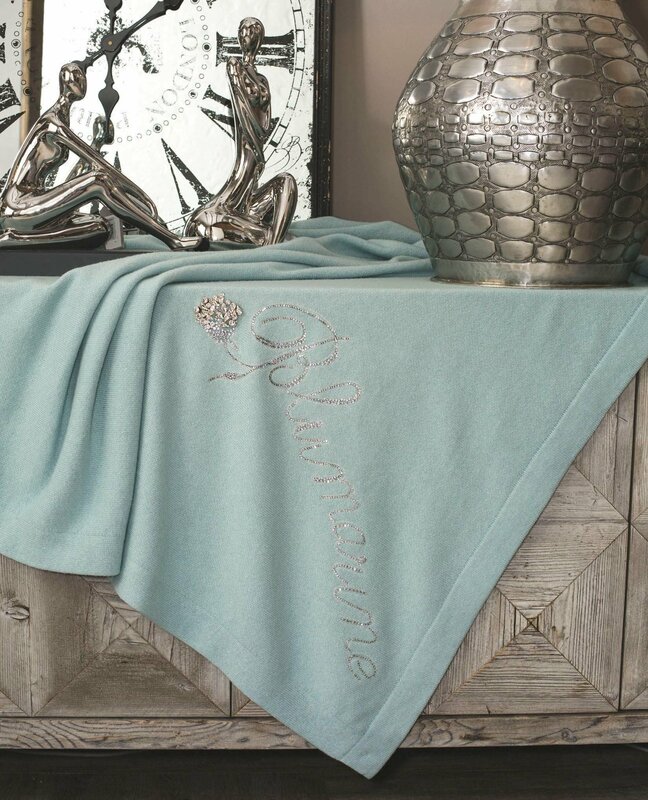 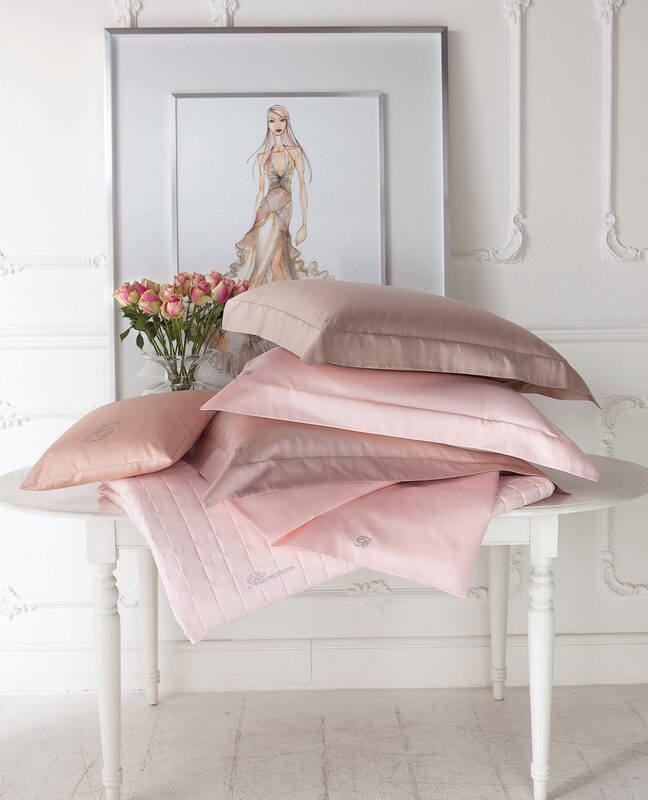 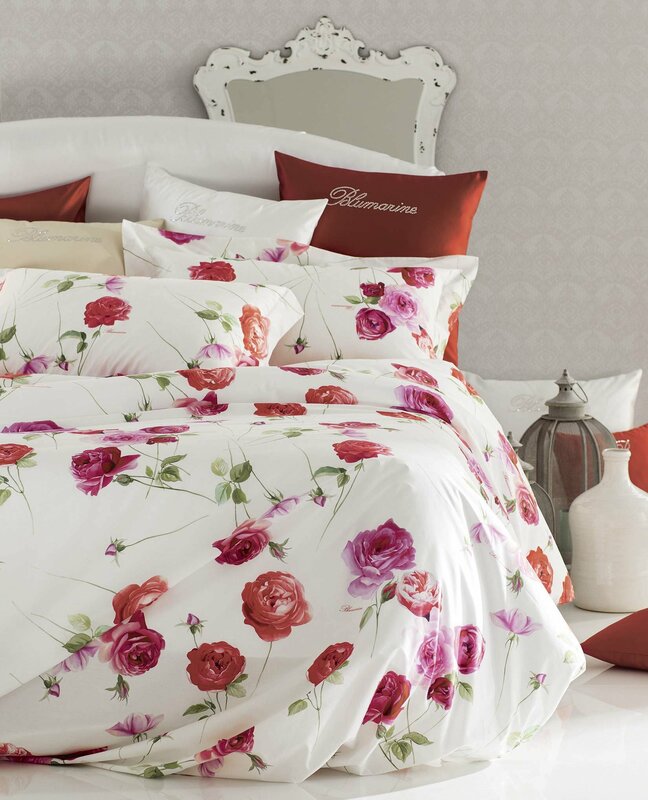 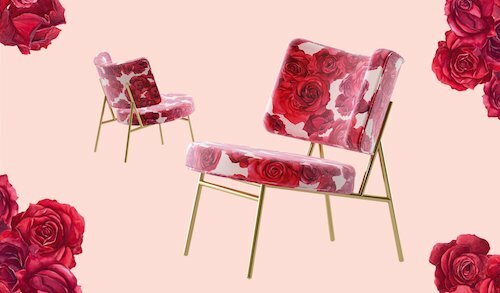 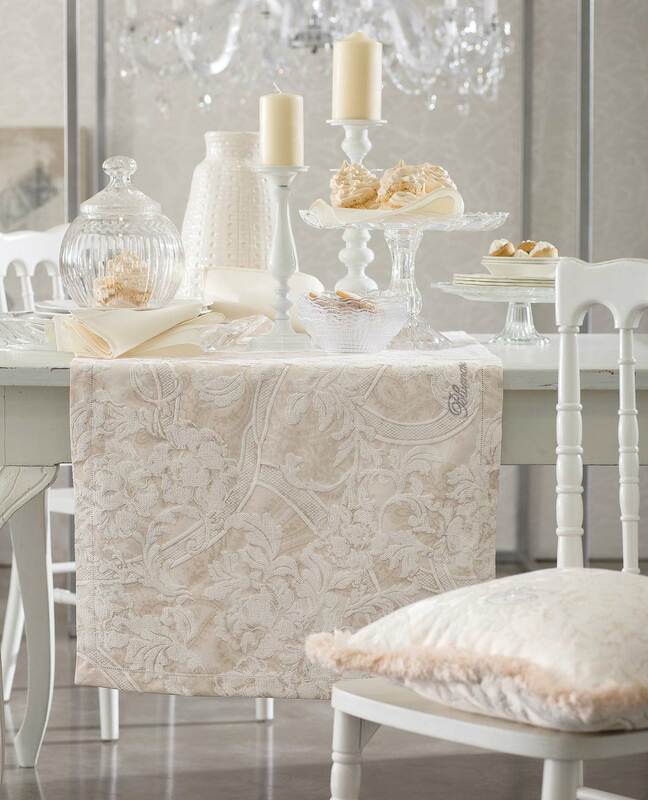 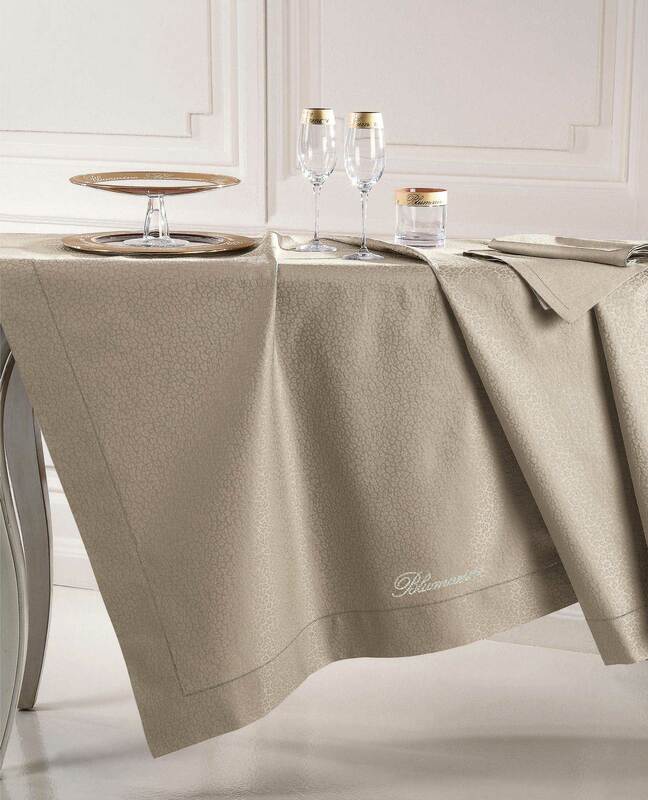 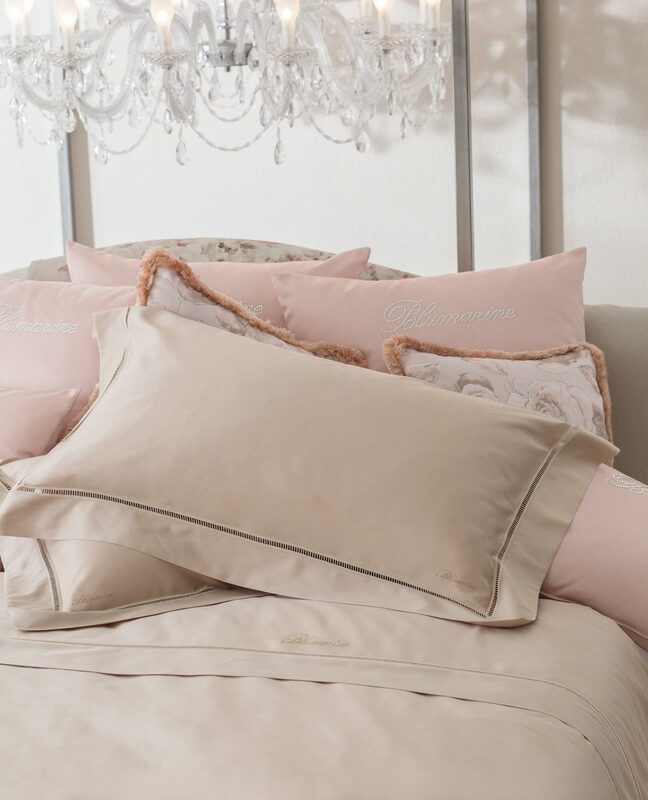 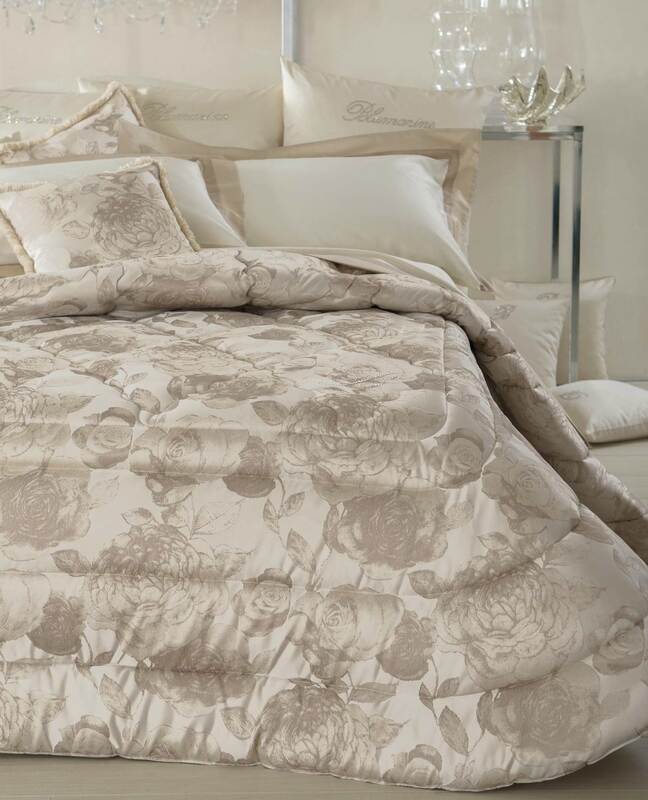 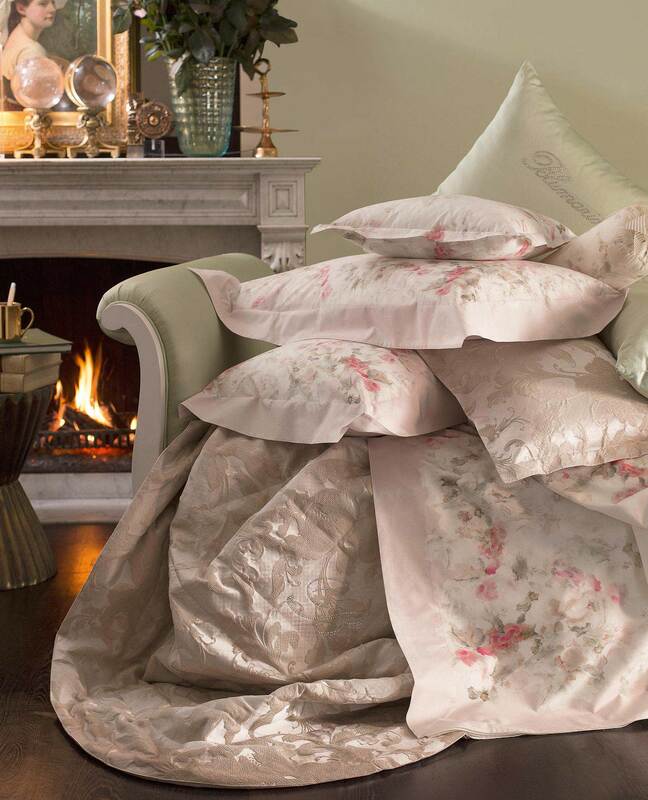 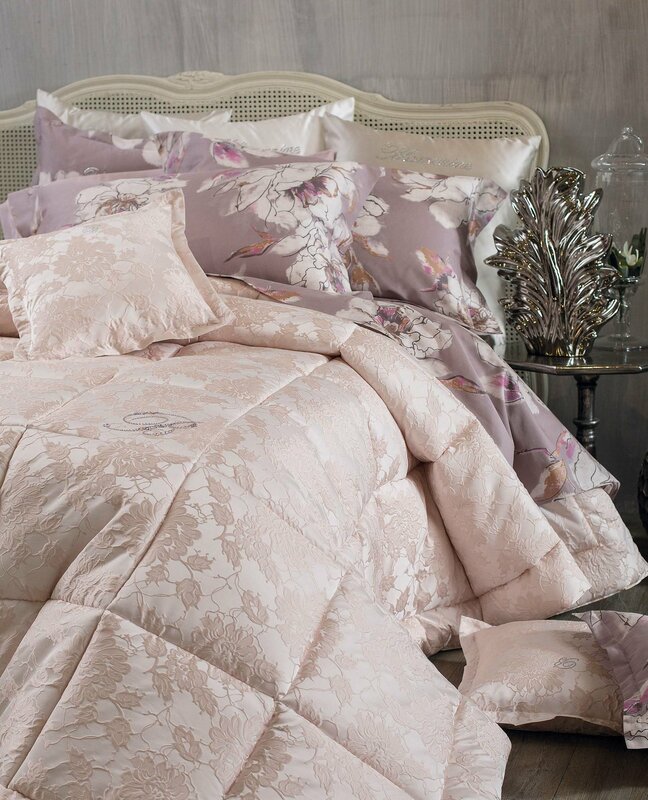 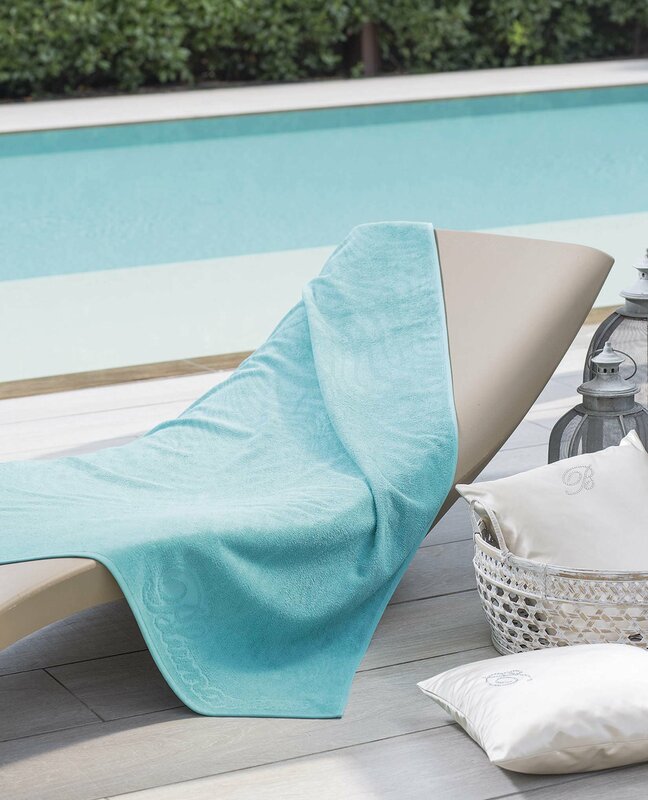 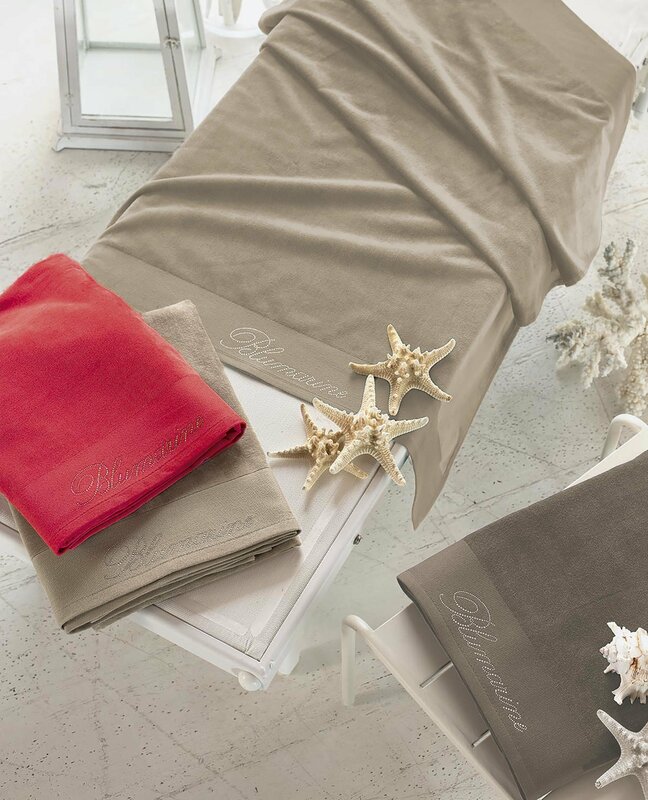 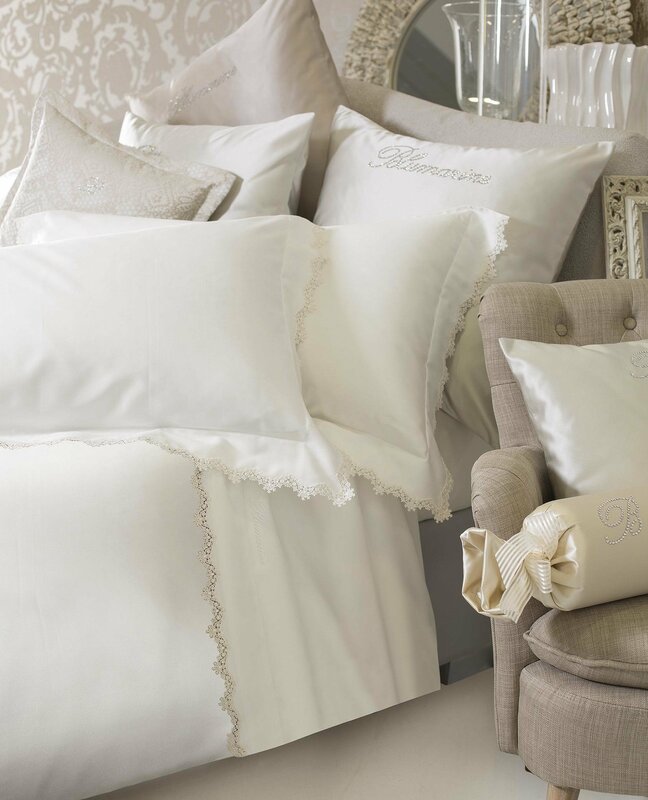 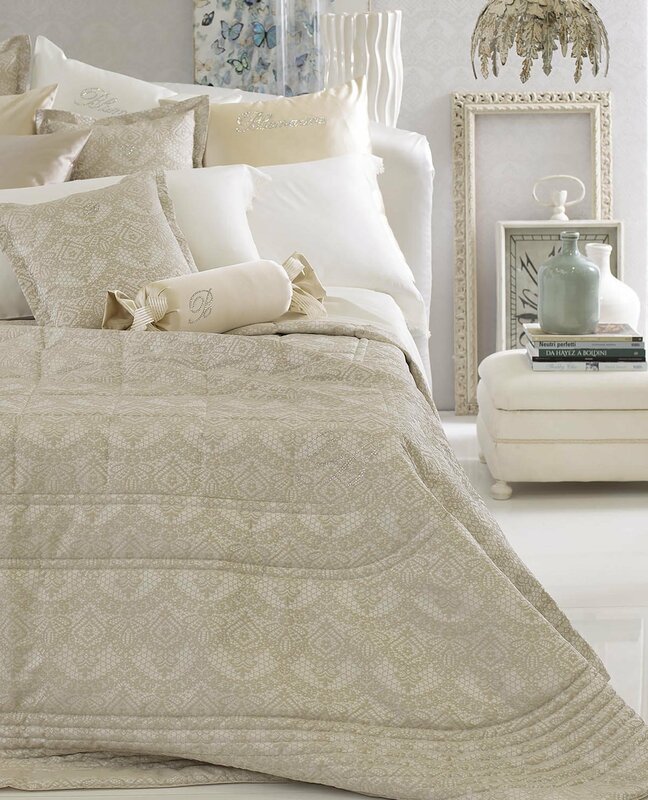 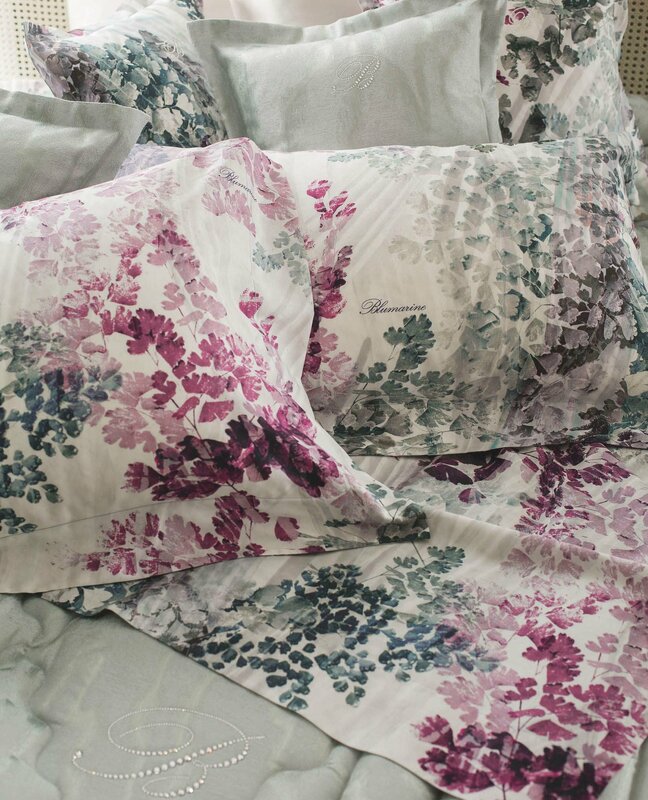 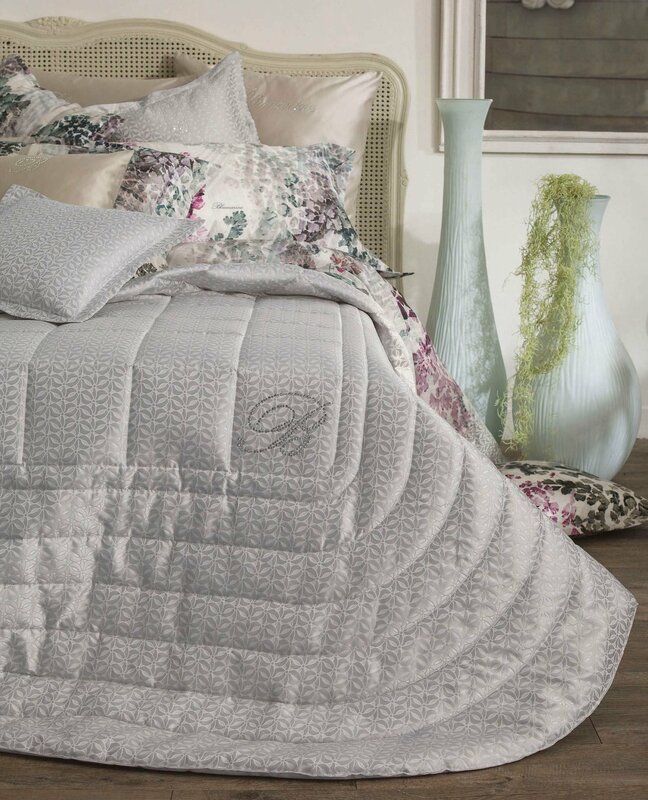 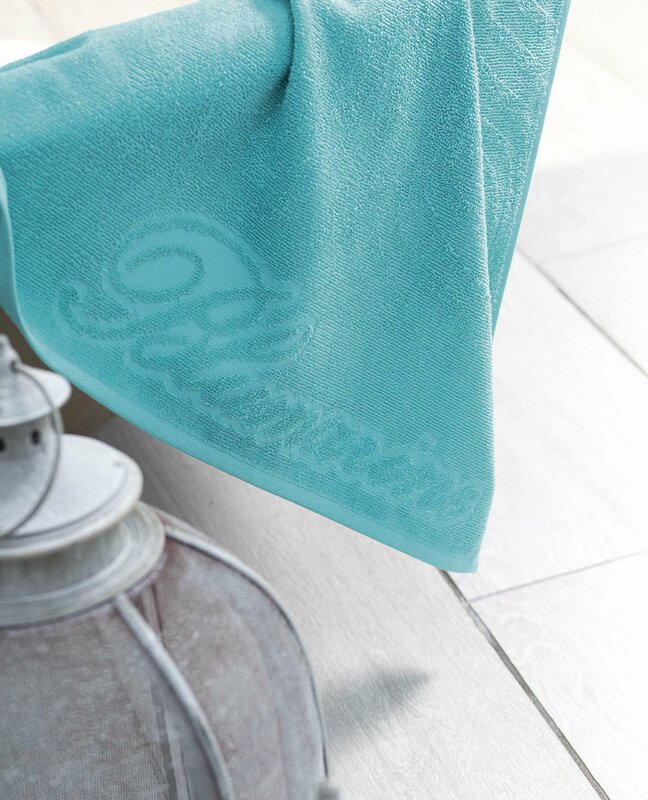 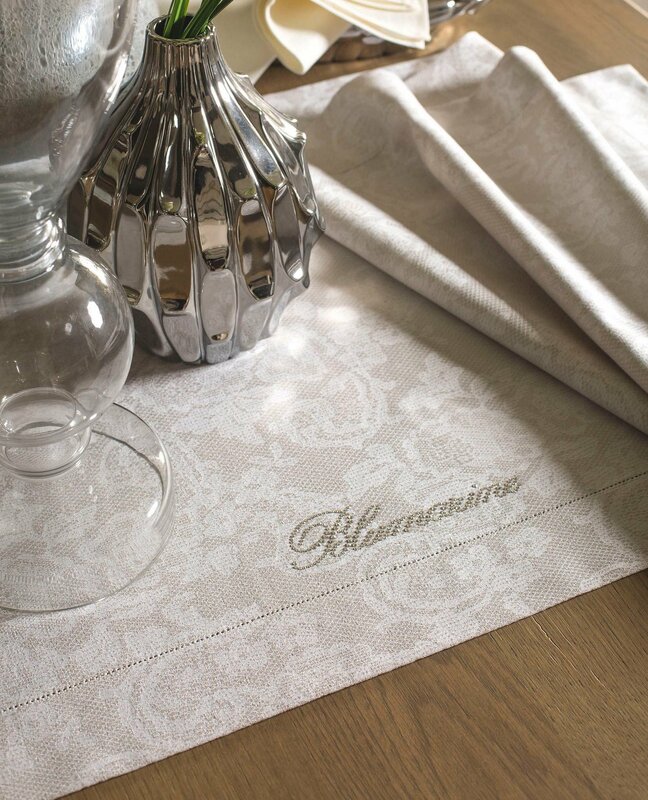 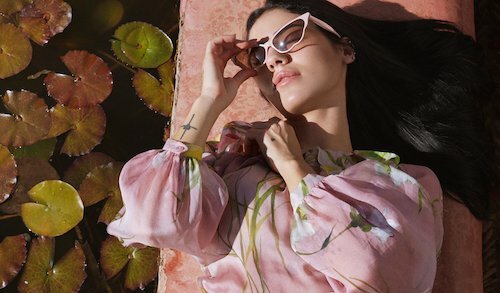 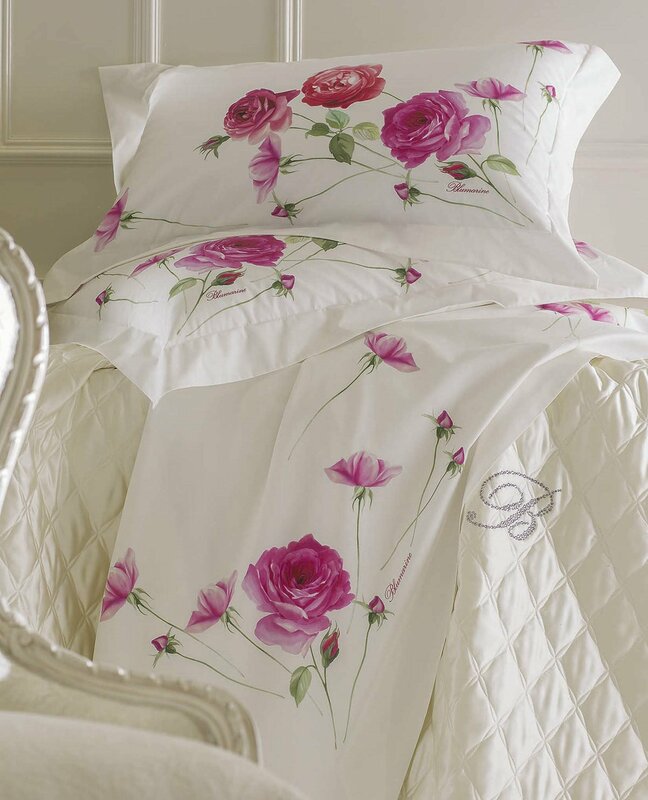 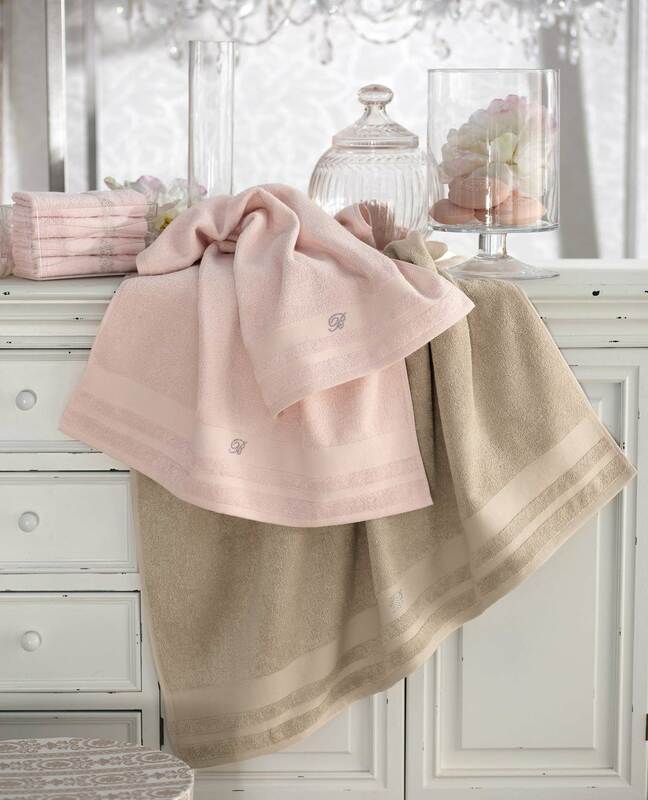 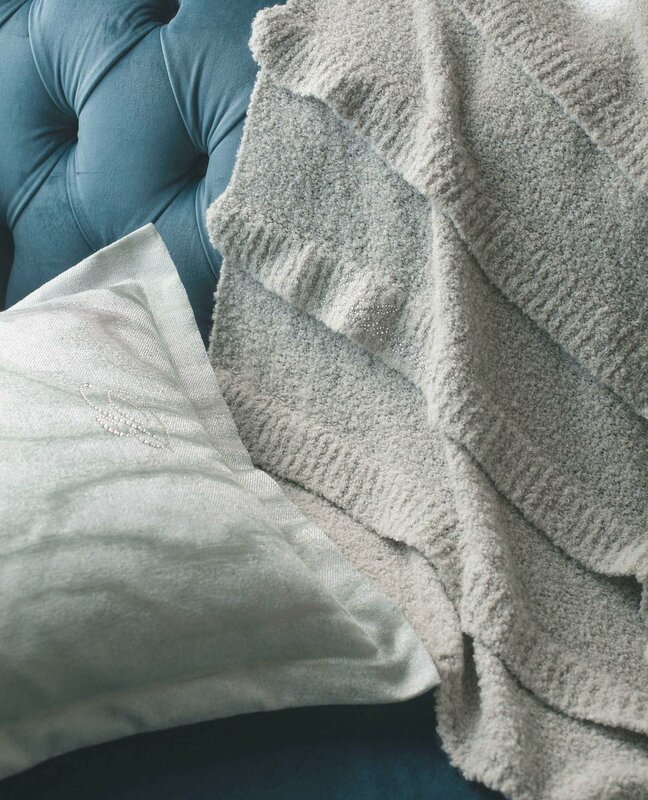 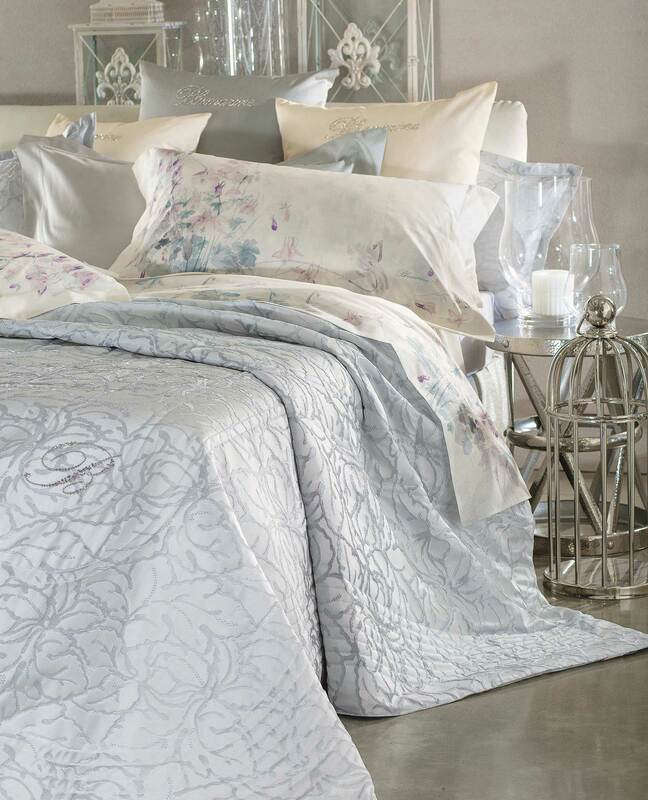 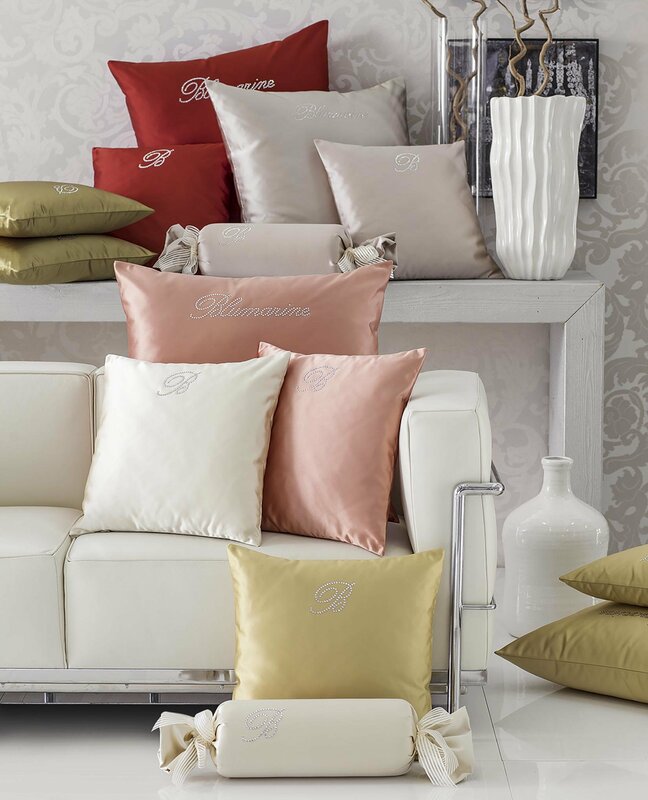 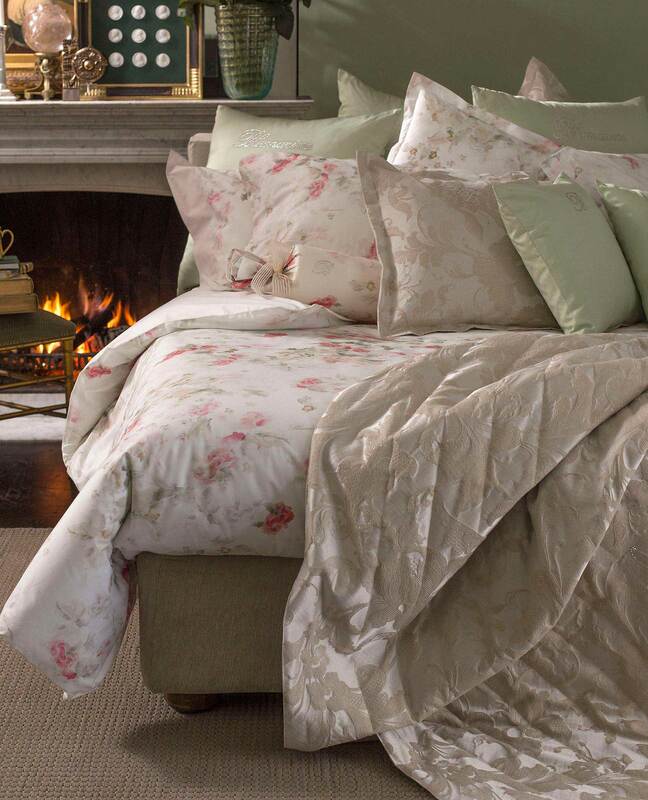 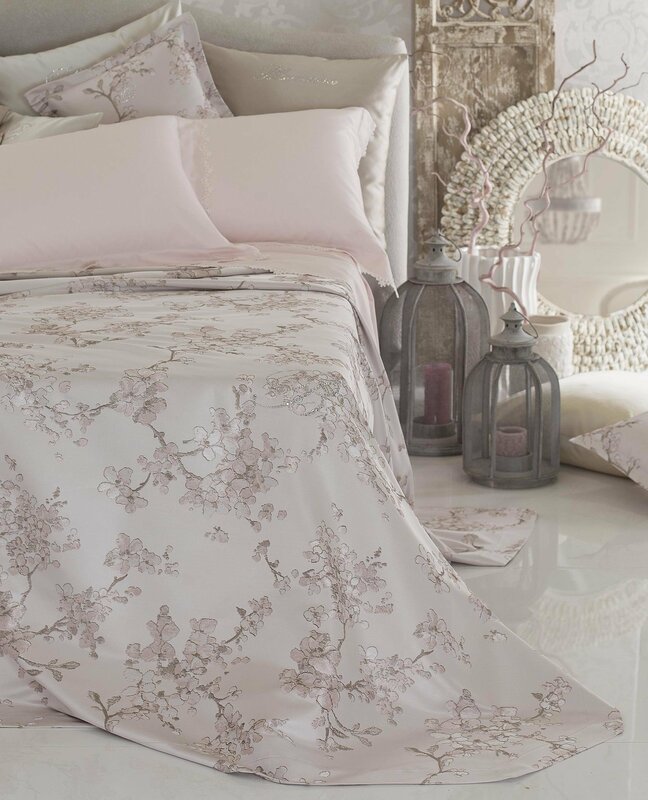 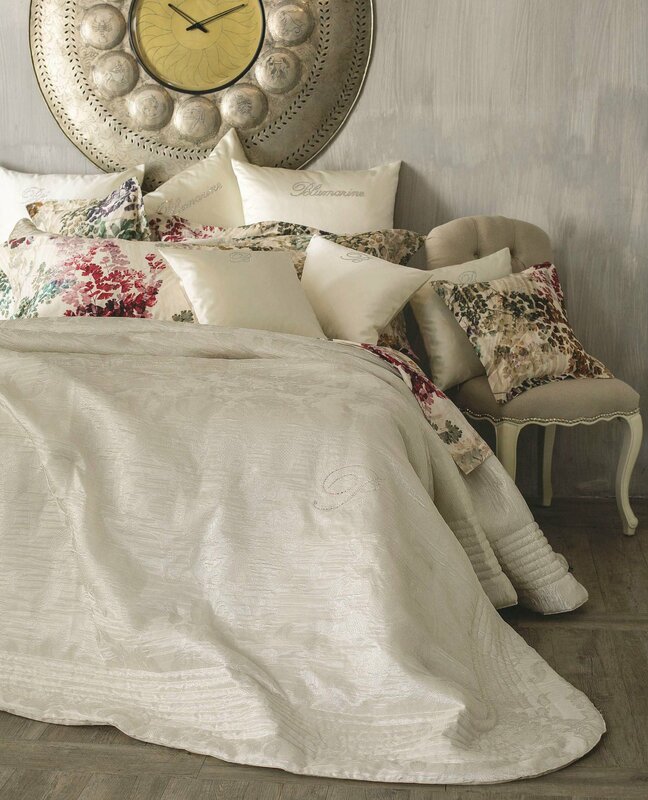 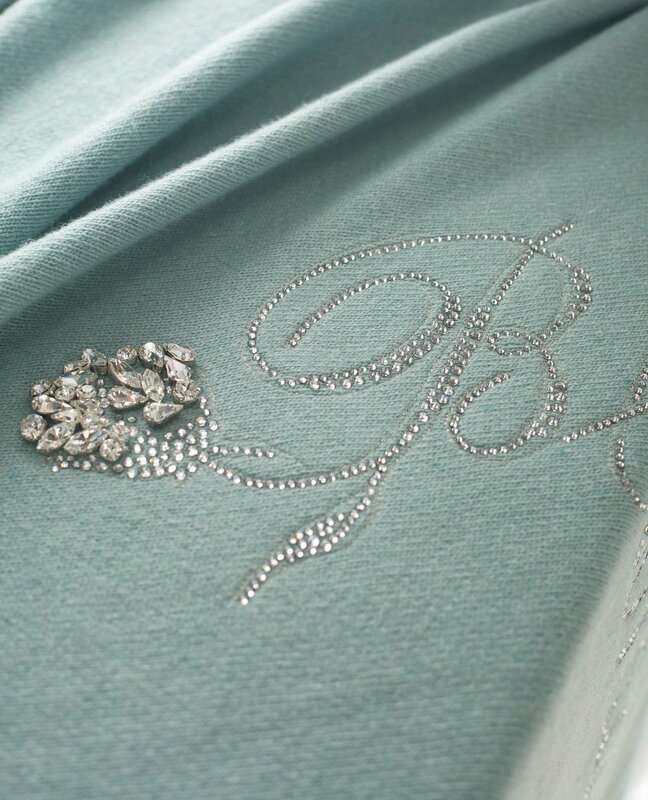 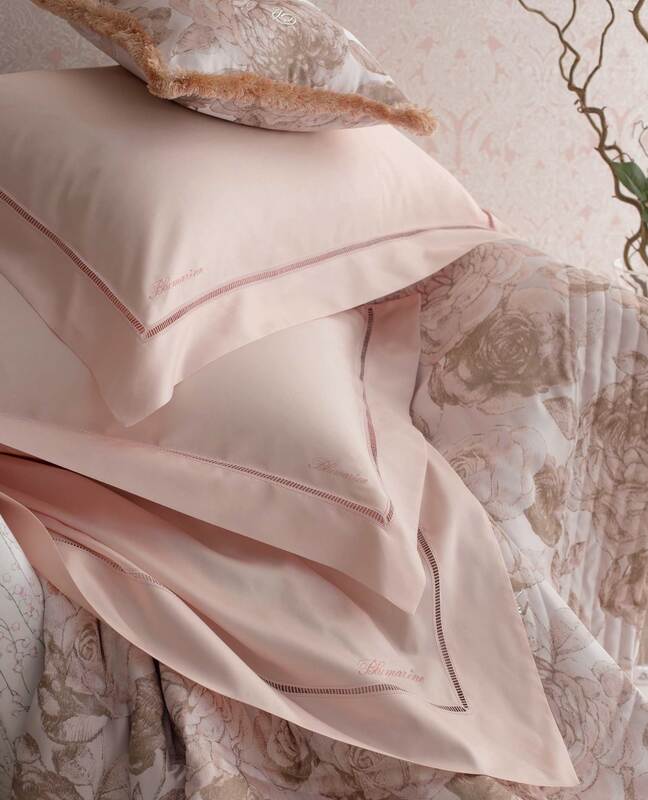 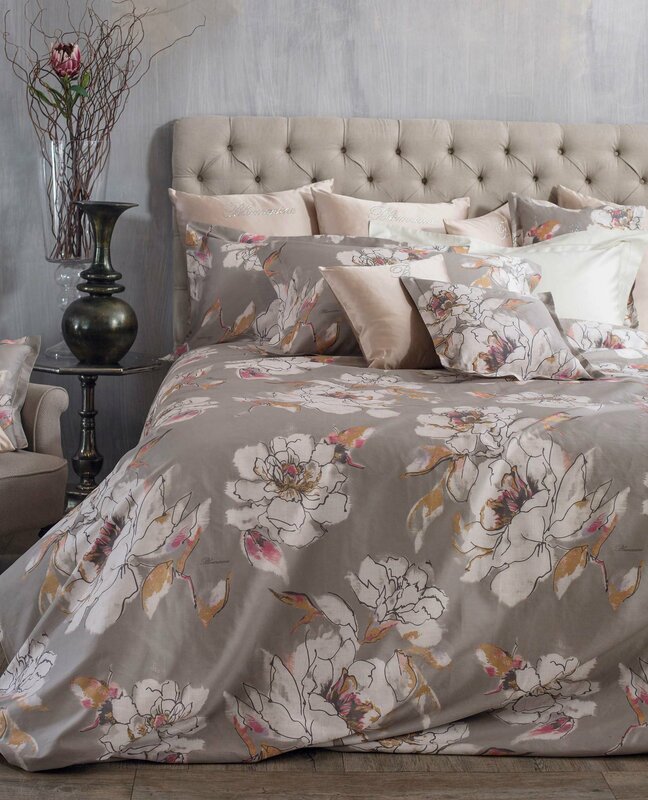 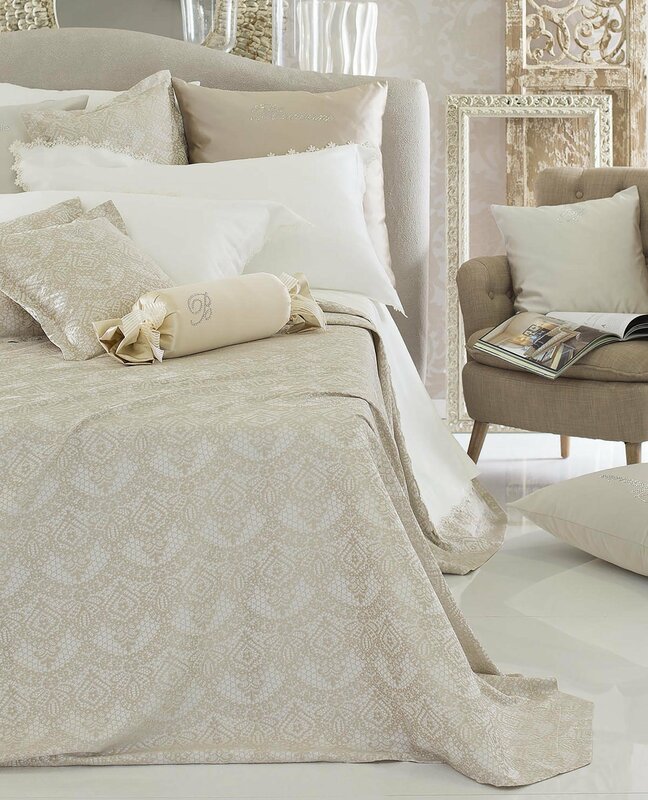 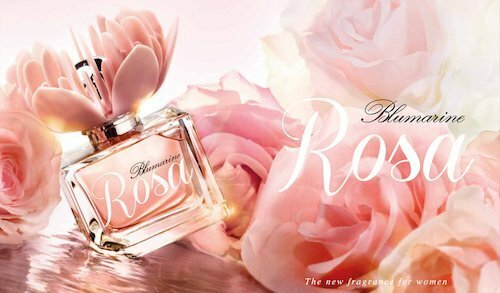 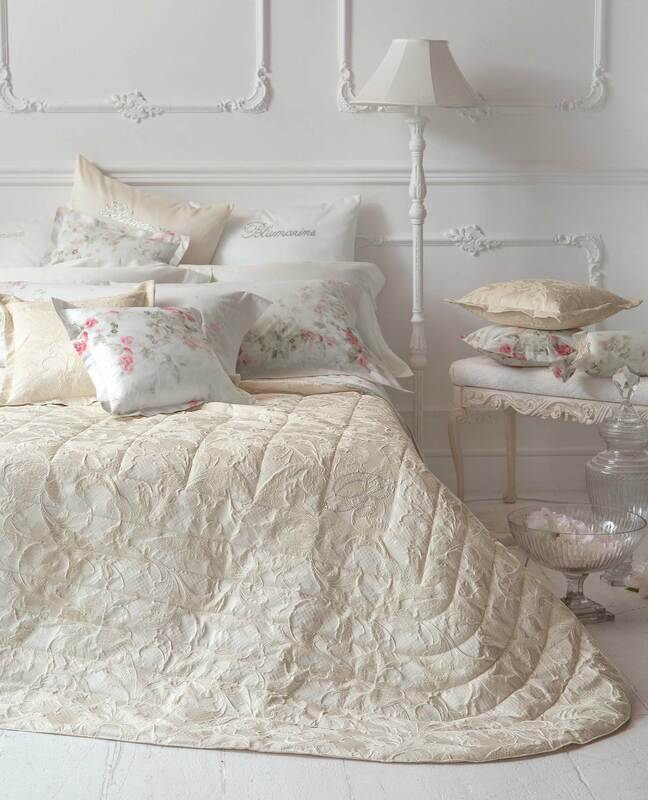 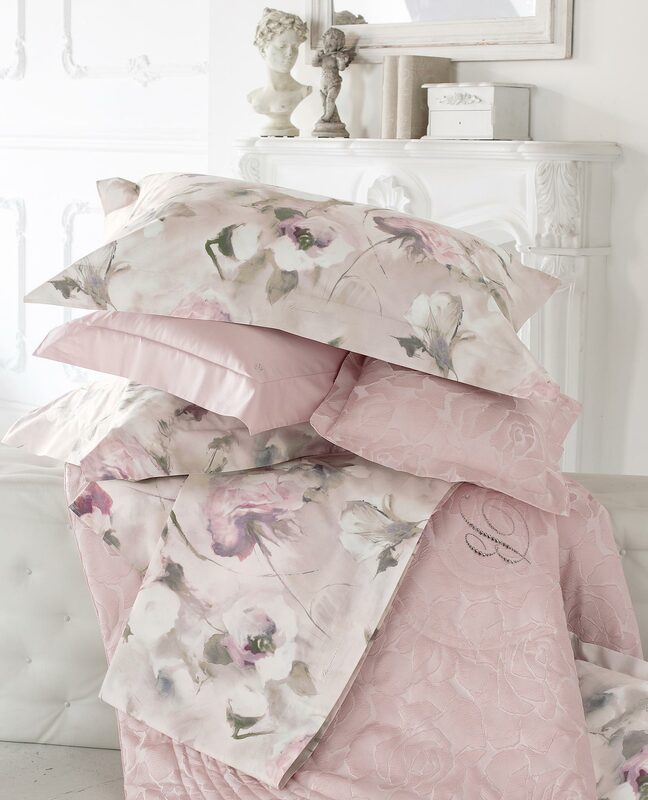 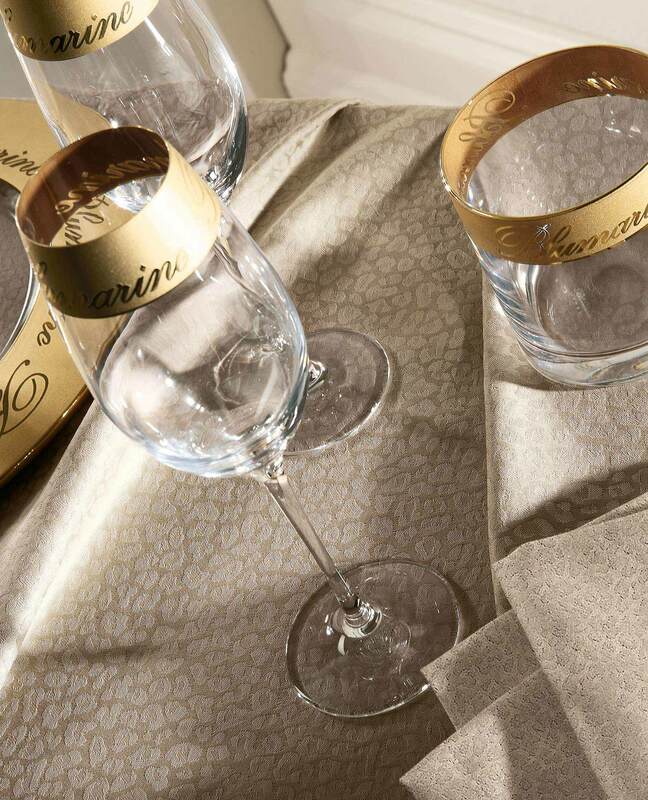 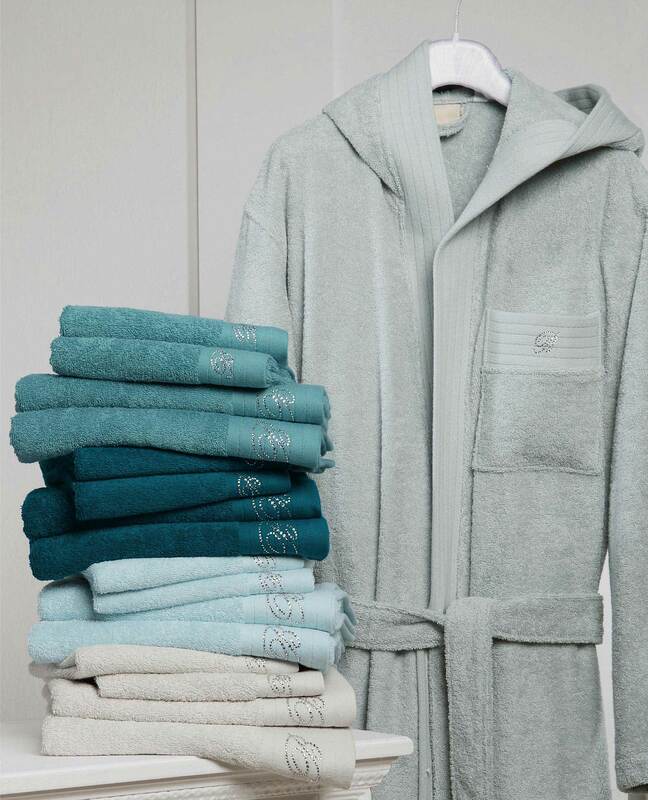 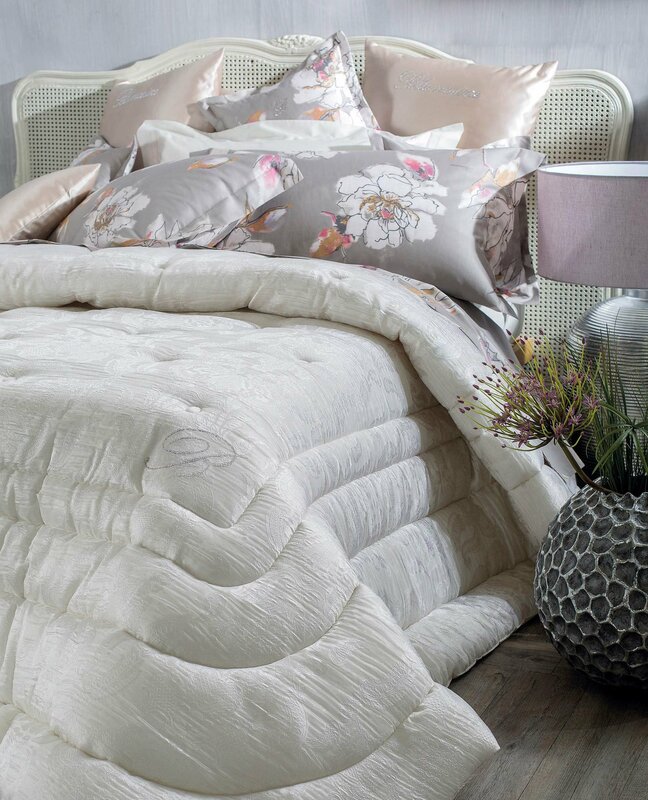 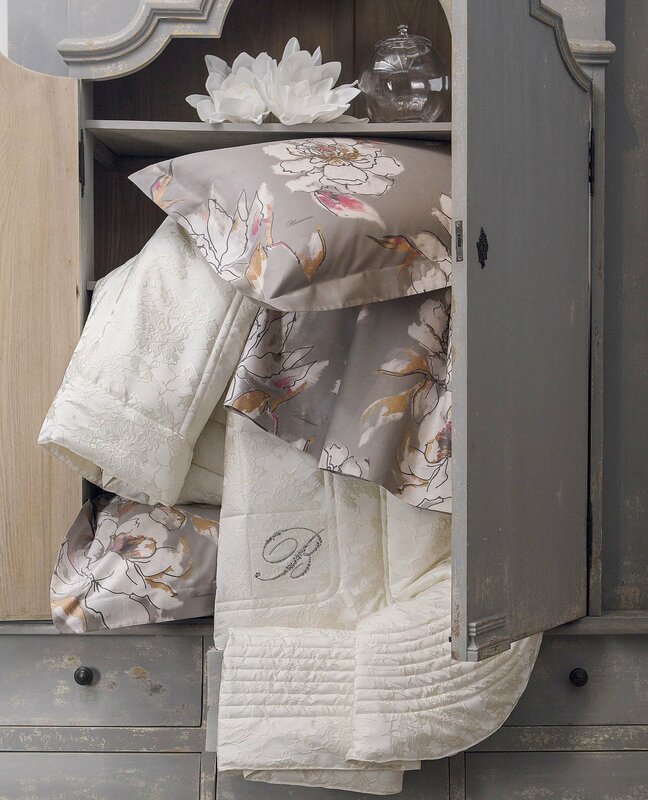 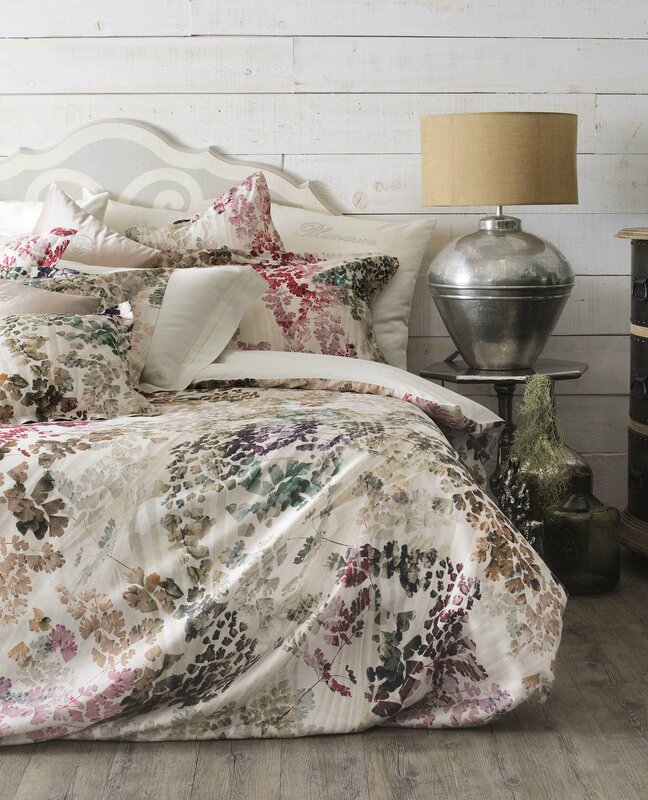 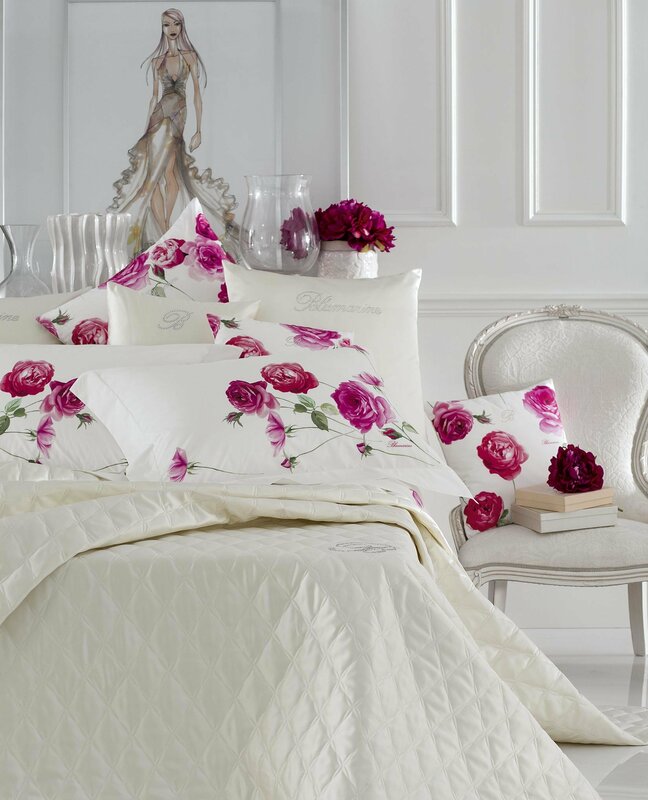 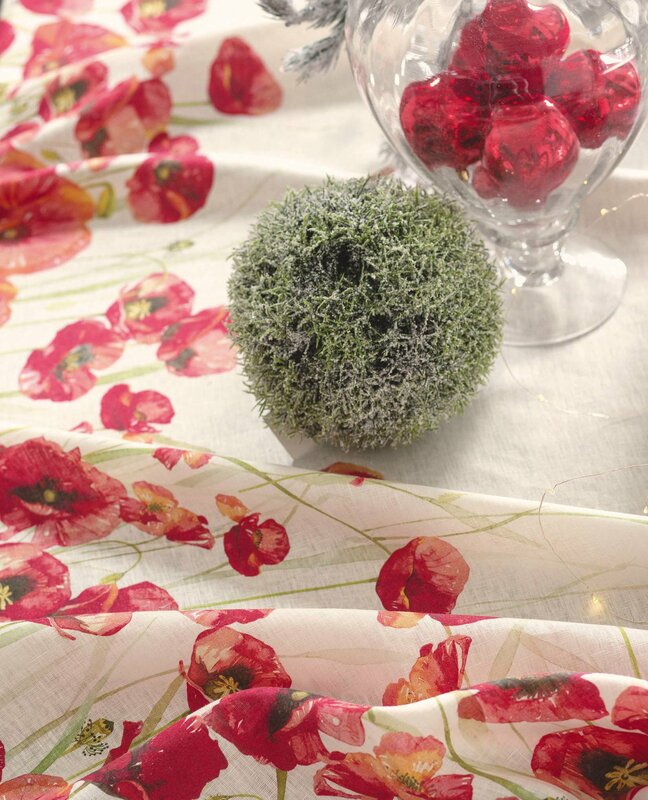 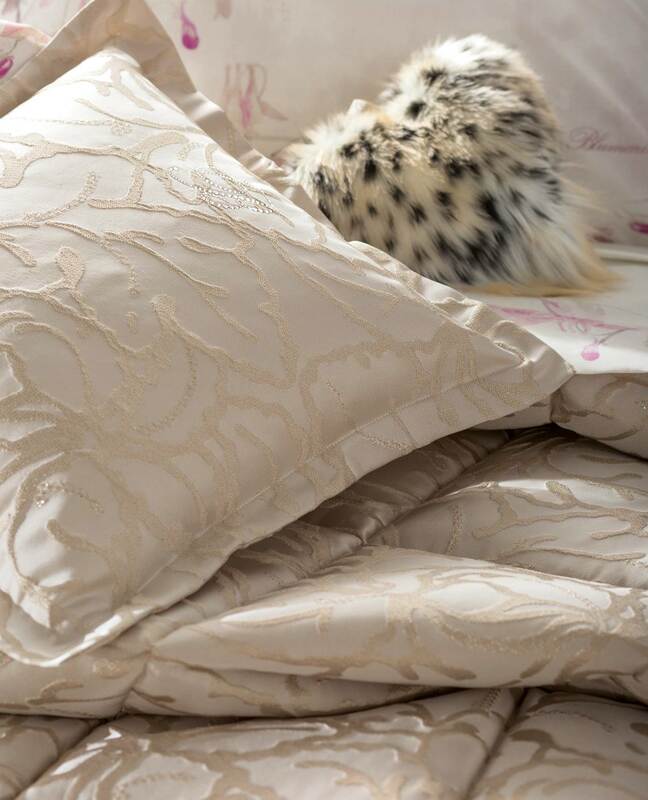 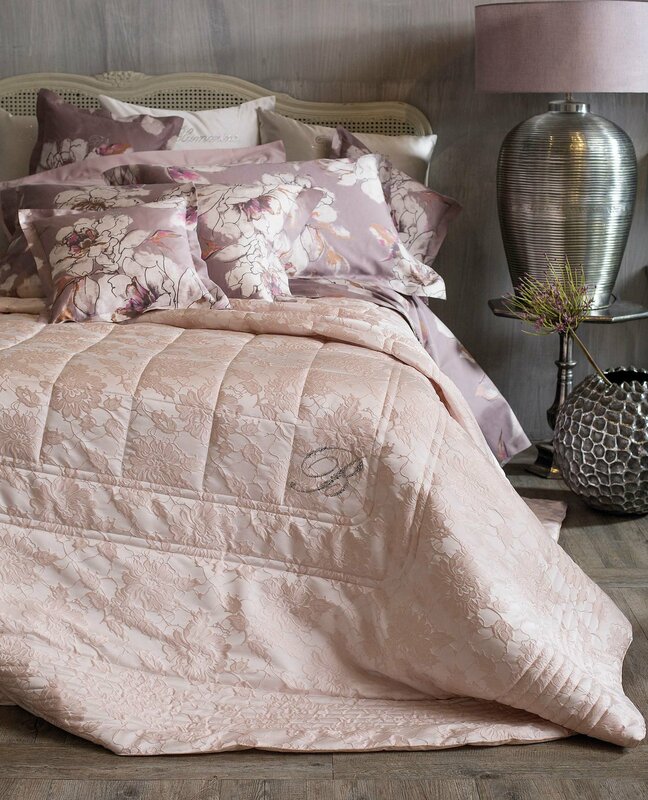 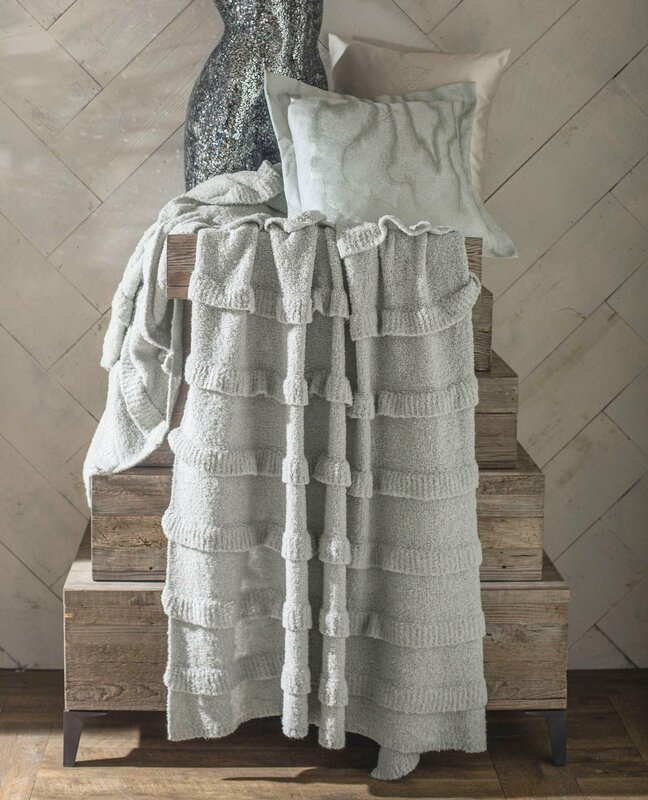 Blumarine Home Collection is a treasury of beauty, with a romantic and elegant twist. 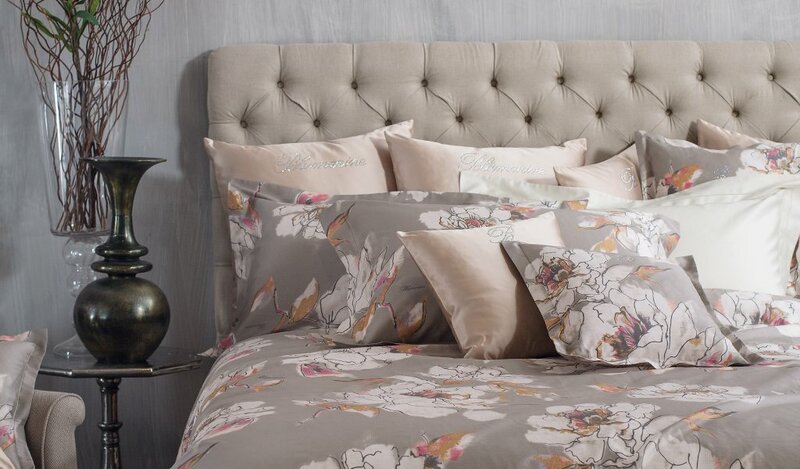 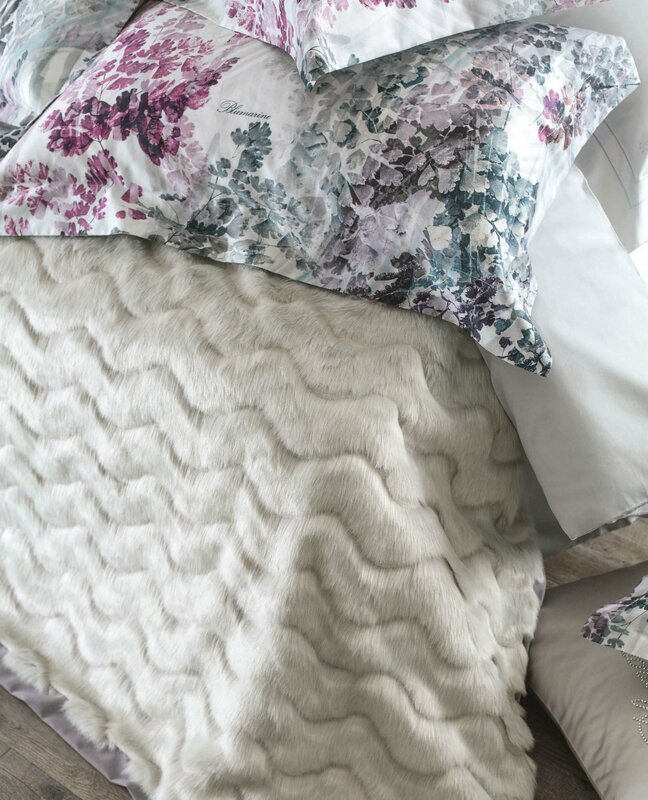 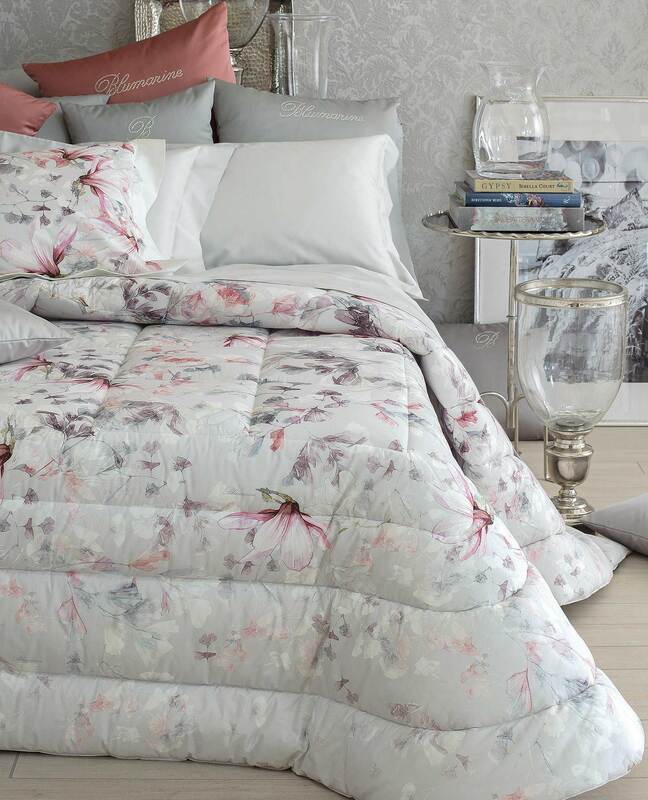 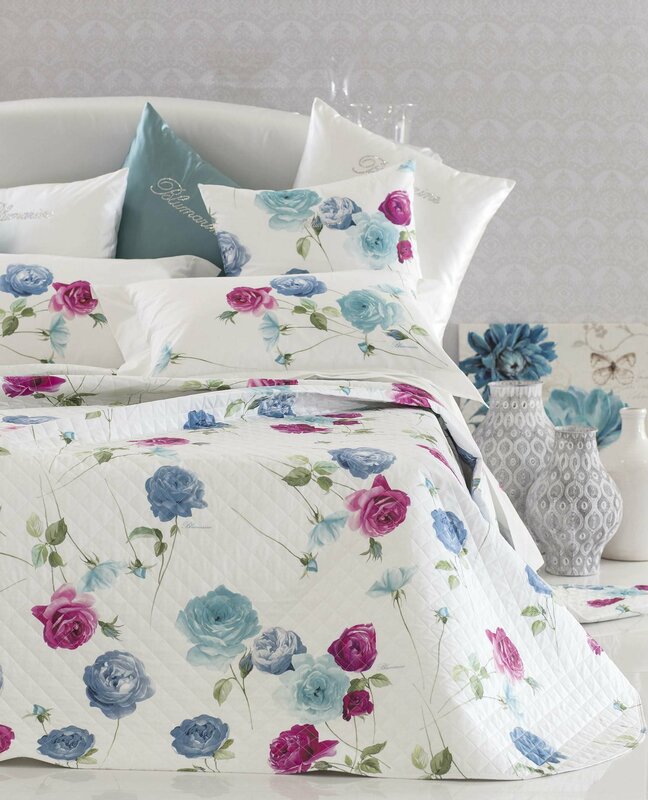 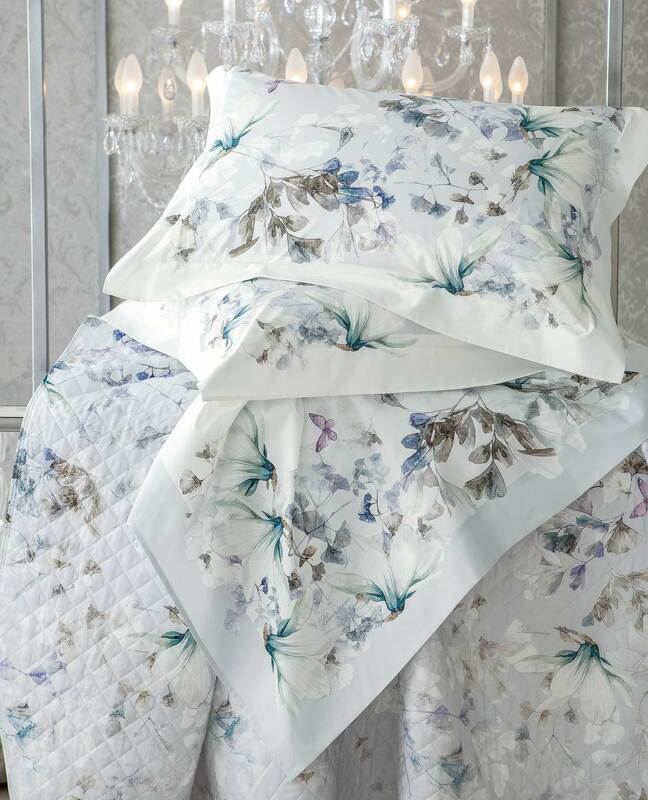 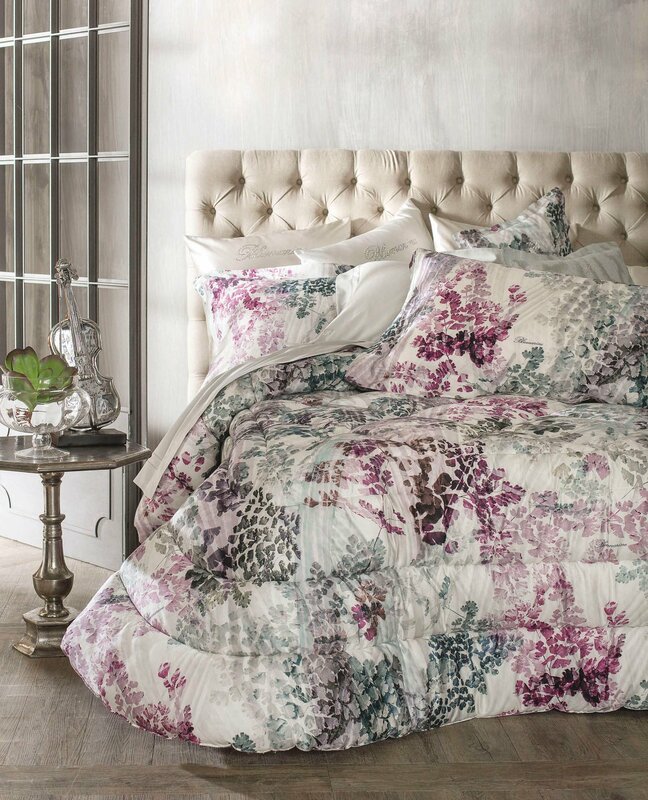 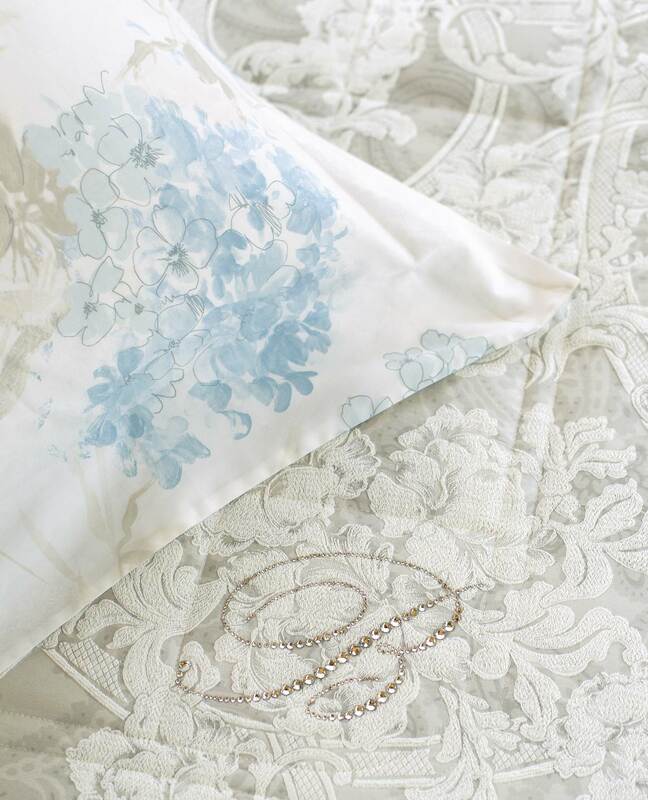 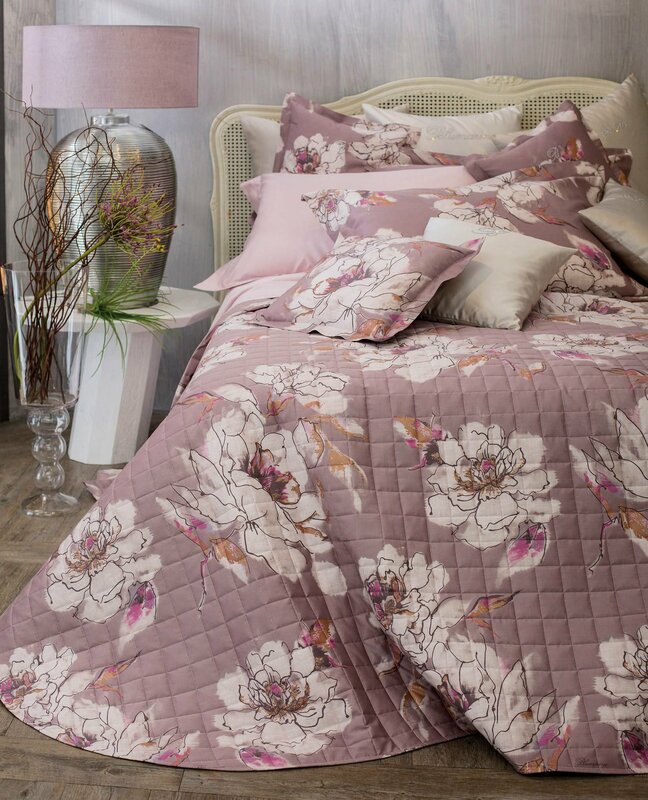 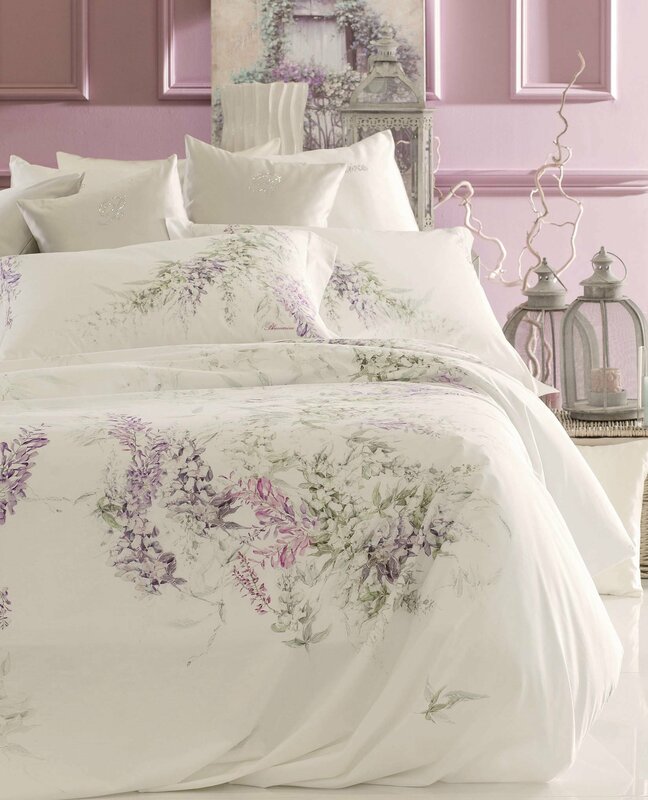 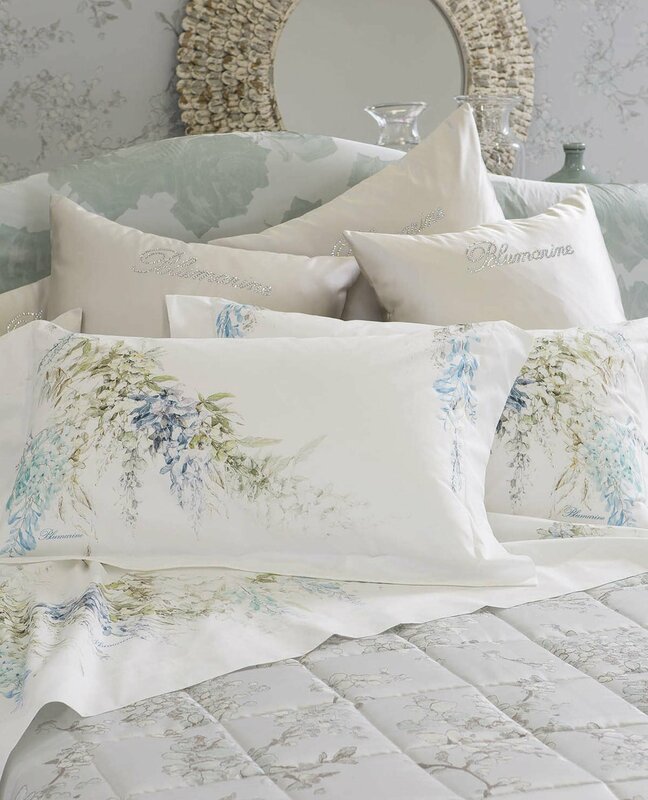 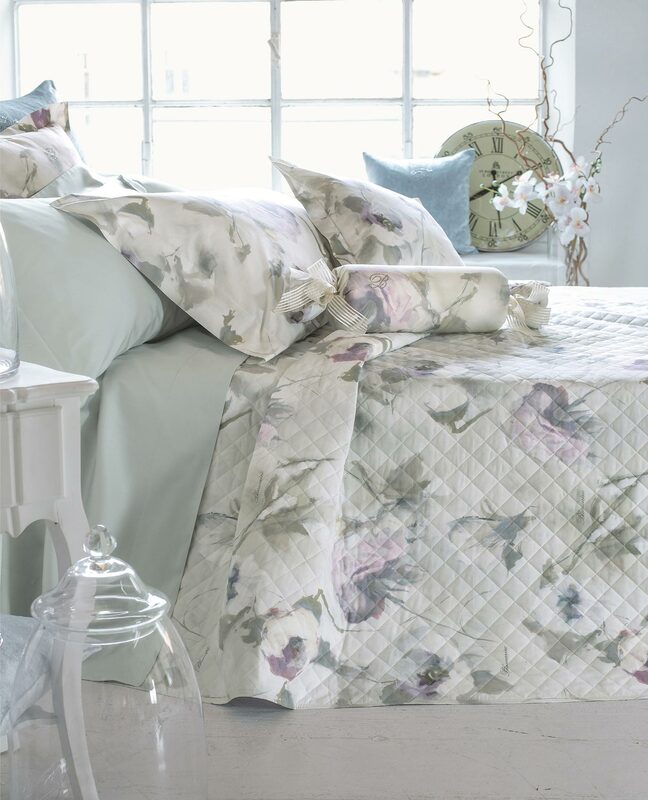 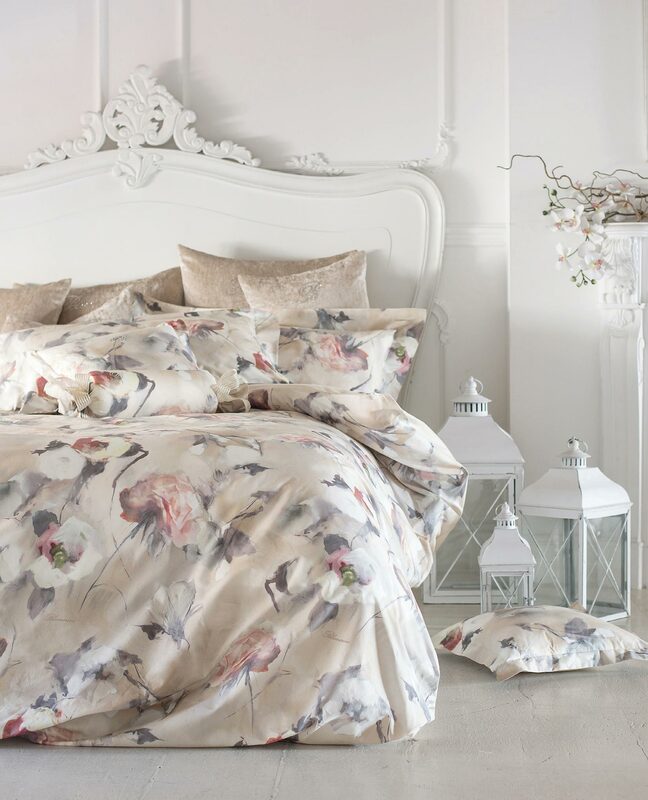 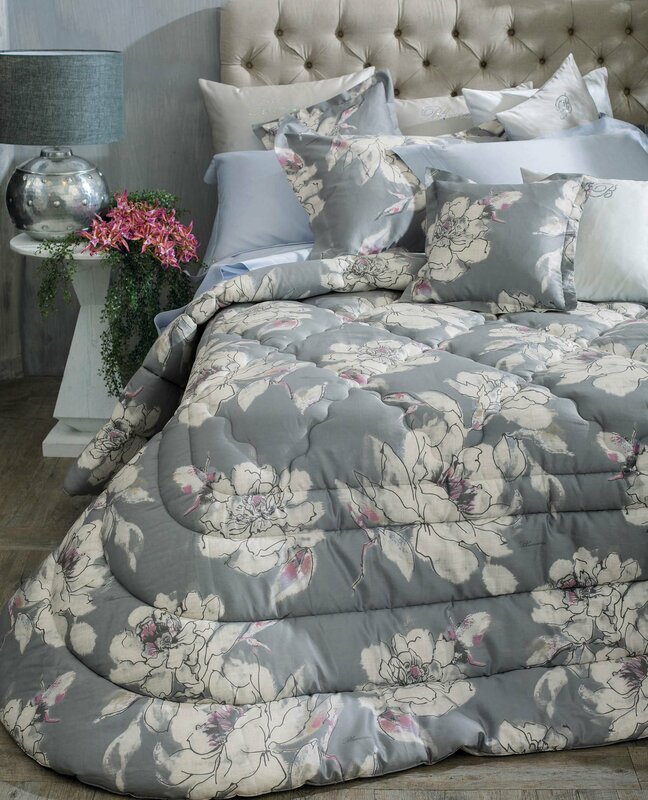 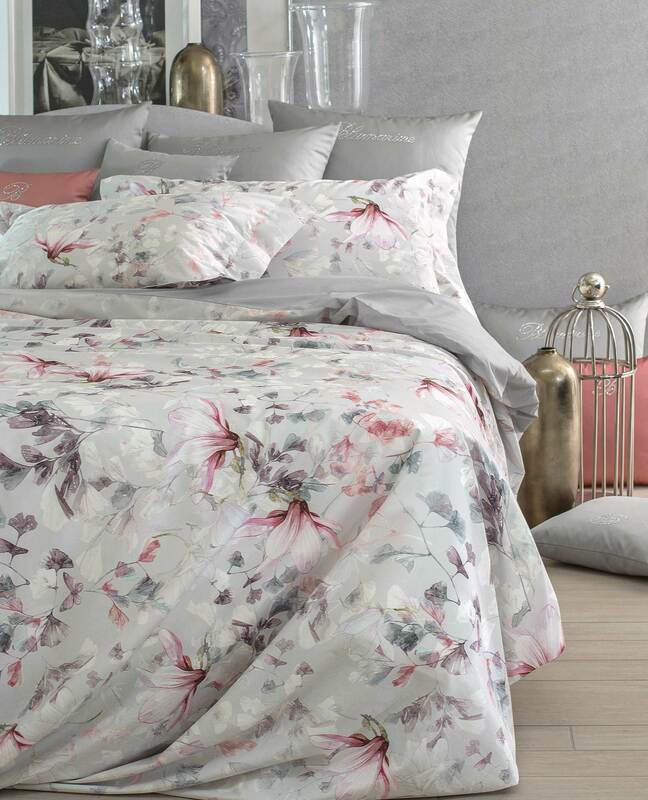 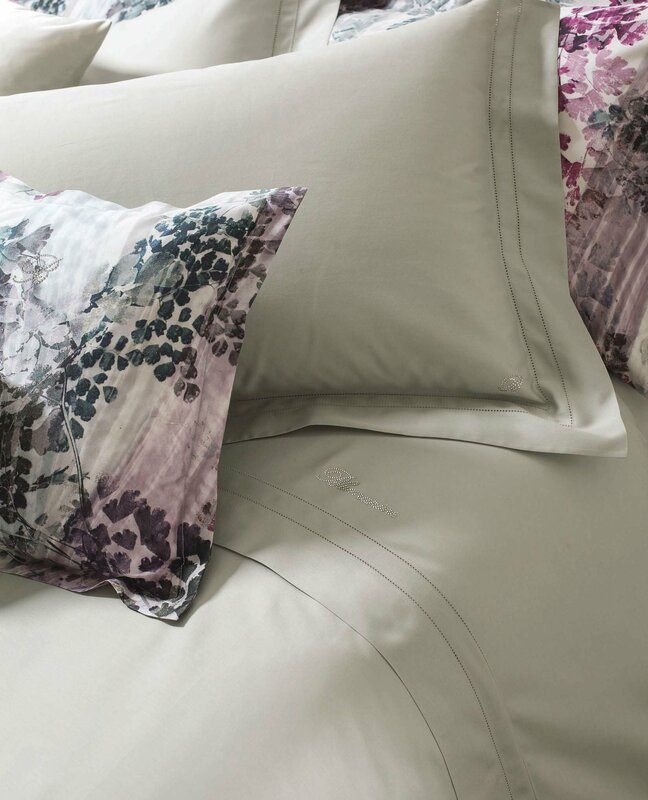 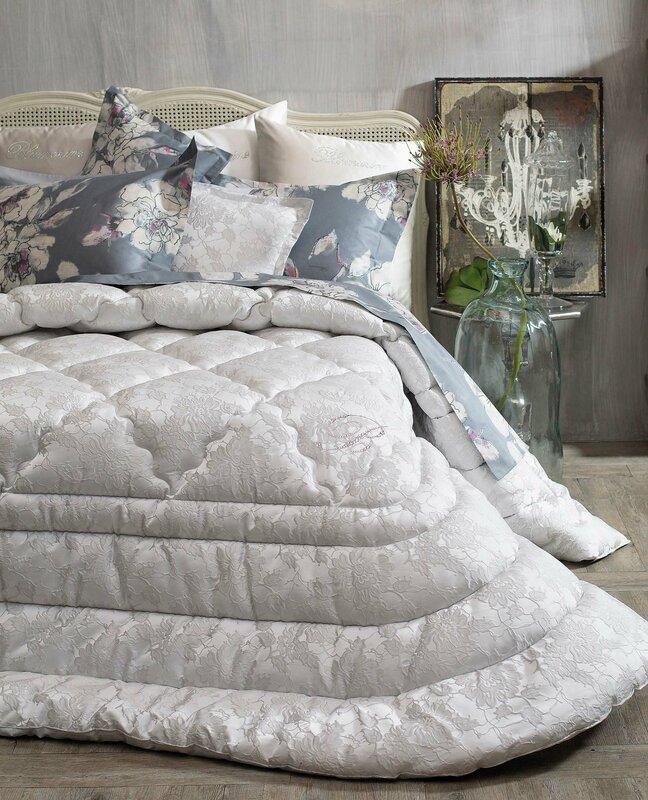 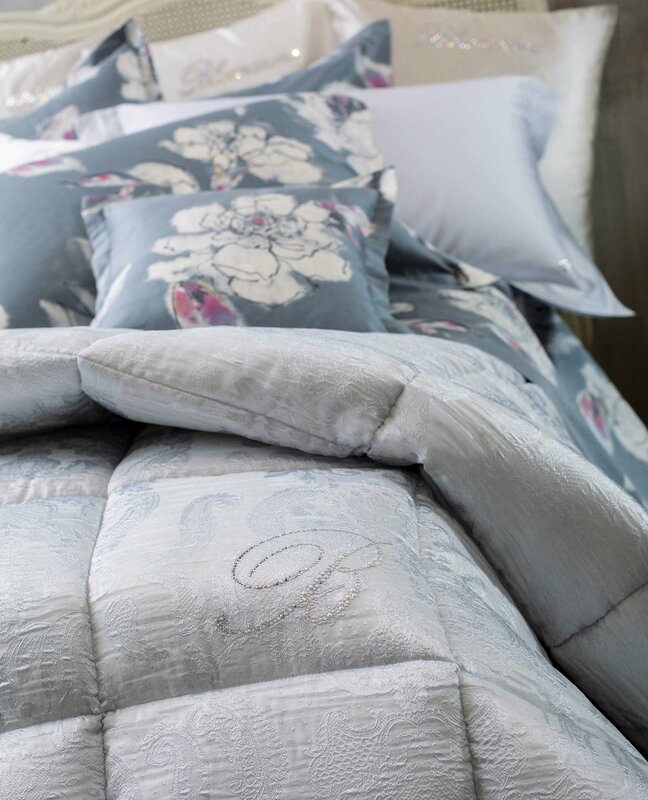 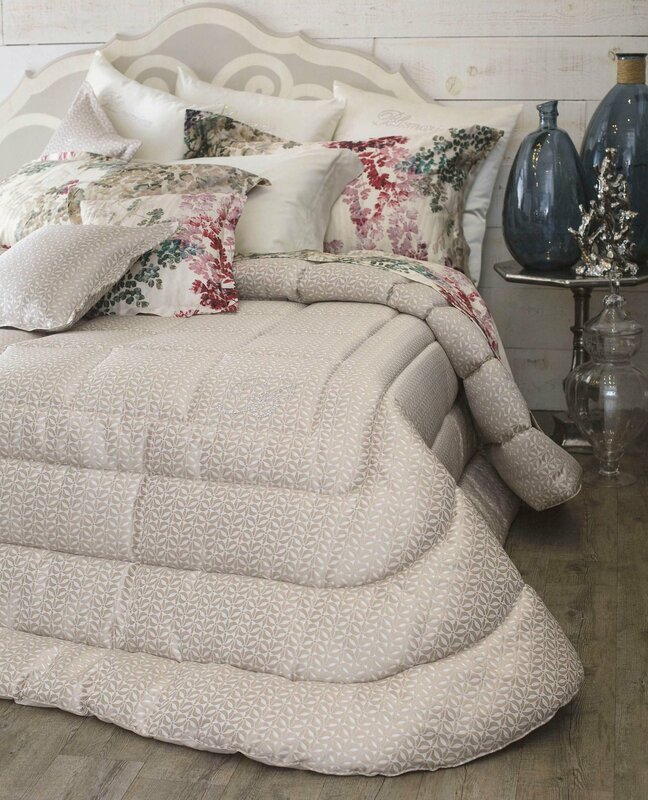 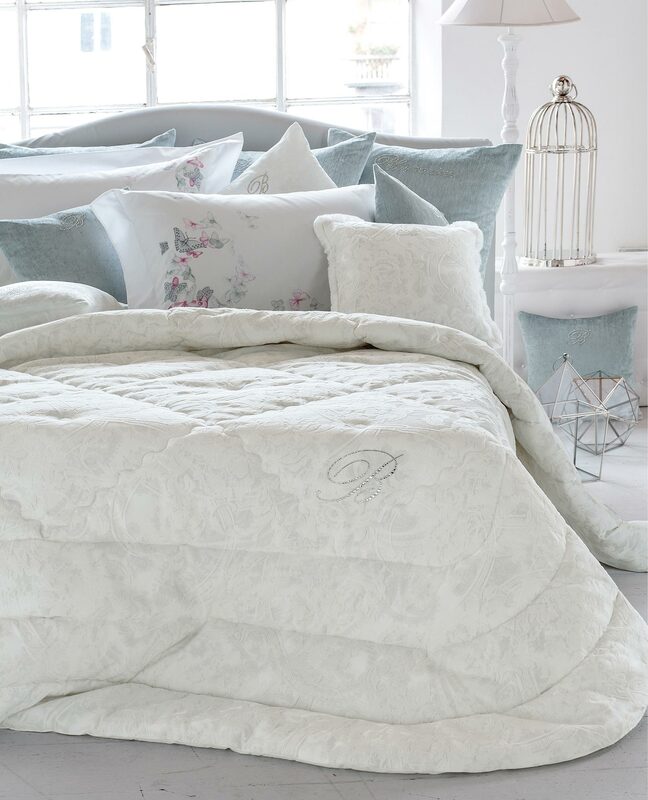 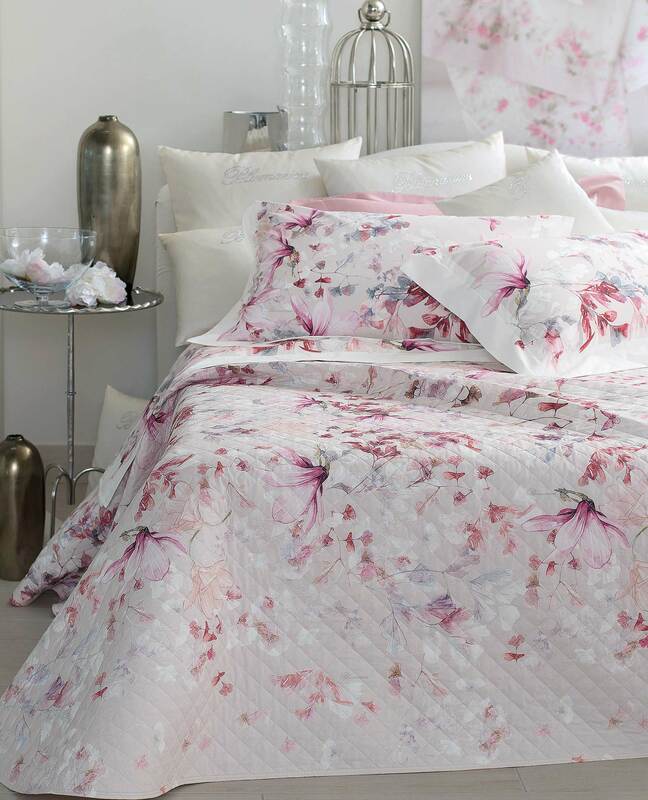 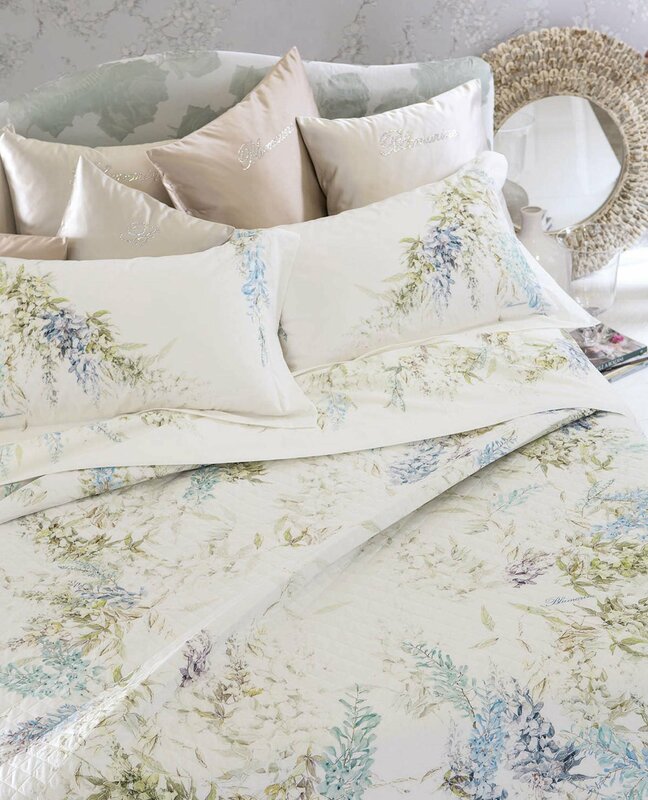 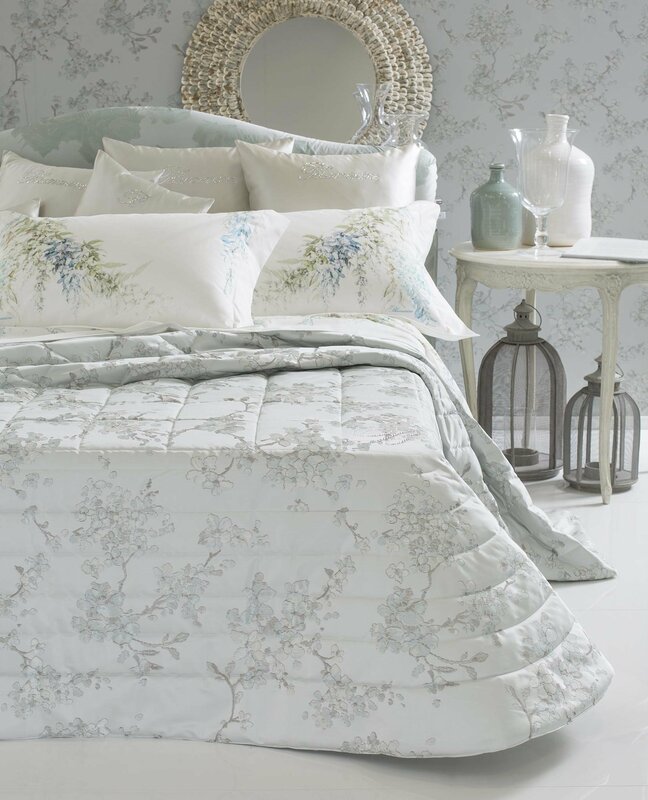 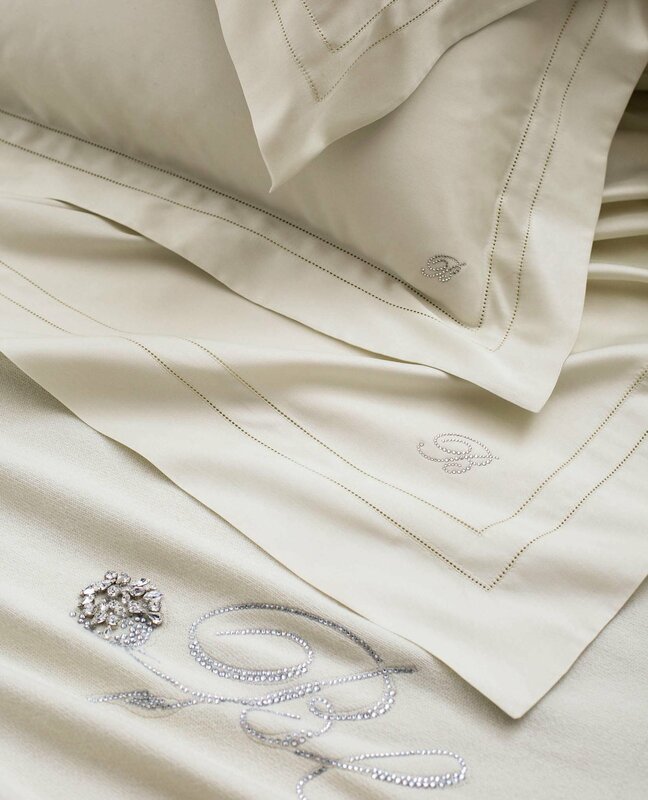 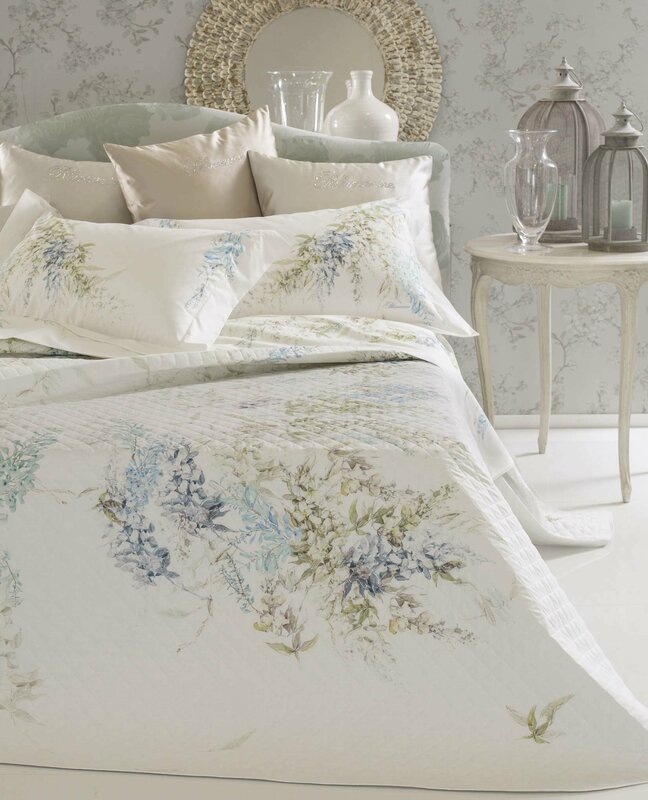 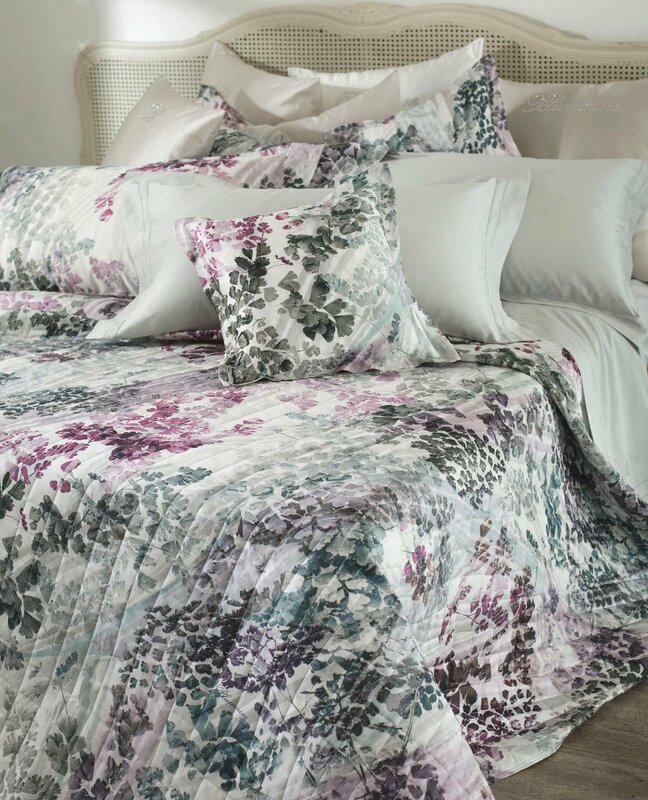 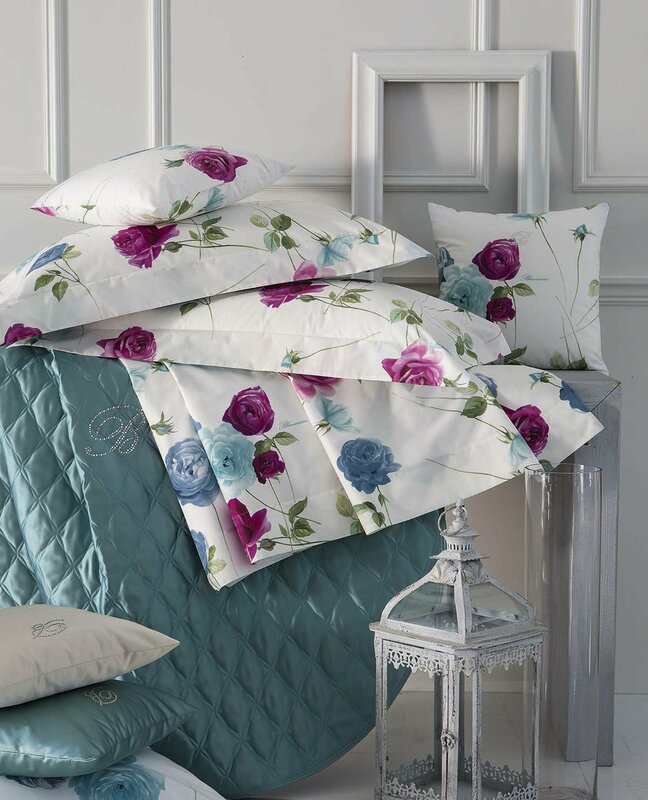 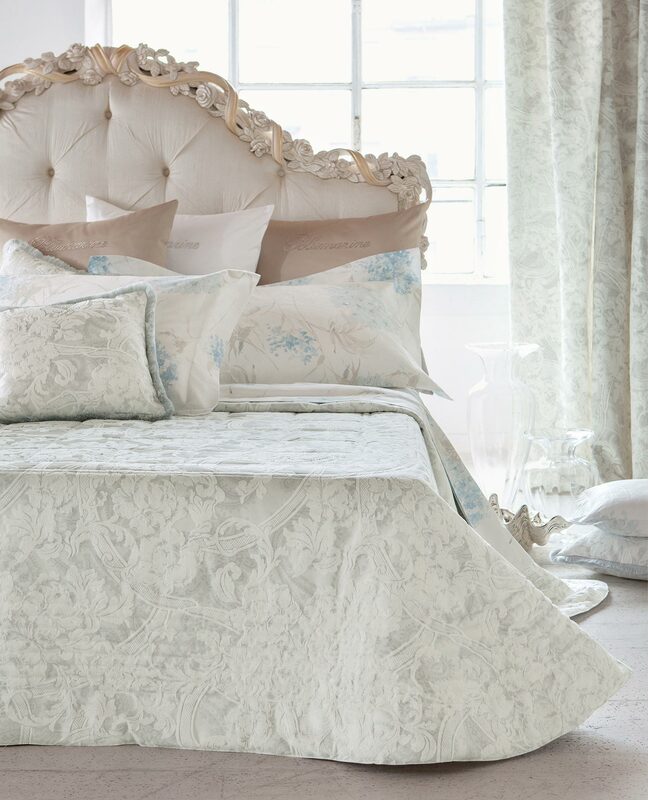 Stylised maxi-flowers, patterns of roses and watercolour floral motifs delicately decorate bed sets dot quilts, duvet covers and coordinated items, to be combined with sophisticated timeless sheets, in a wide range of rigorous solid colours, enriched with minimal-chic embroidery and Swarovski® crystals. 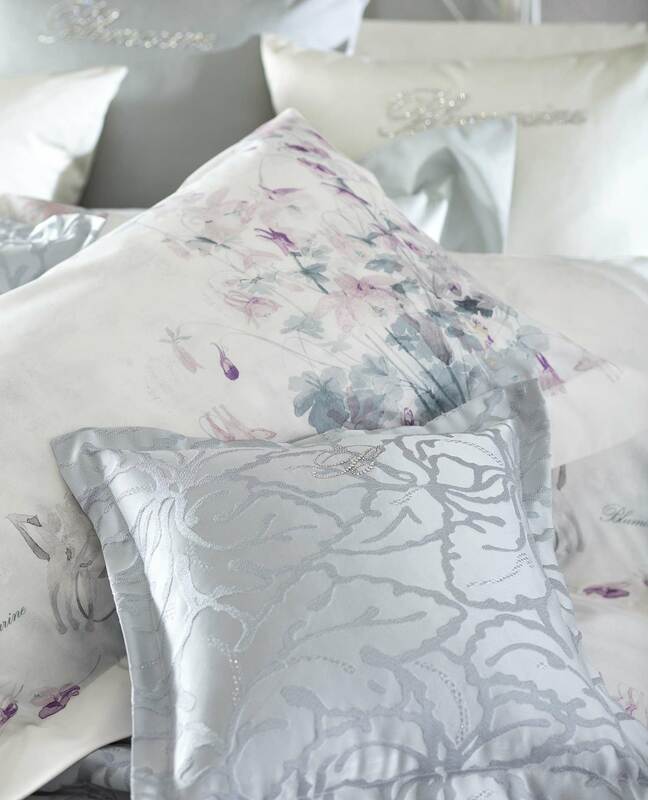 A special place goes to the jacquards and to the tailored handcrafting, appearing throughout the collection in the edging and embroidery. 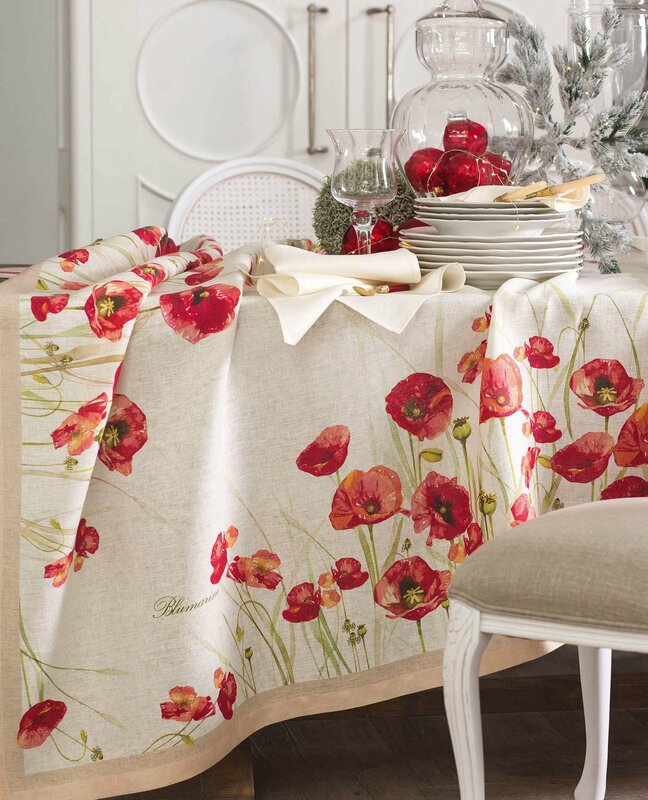 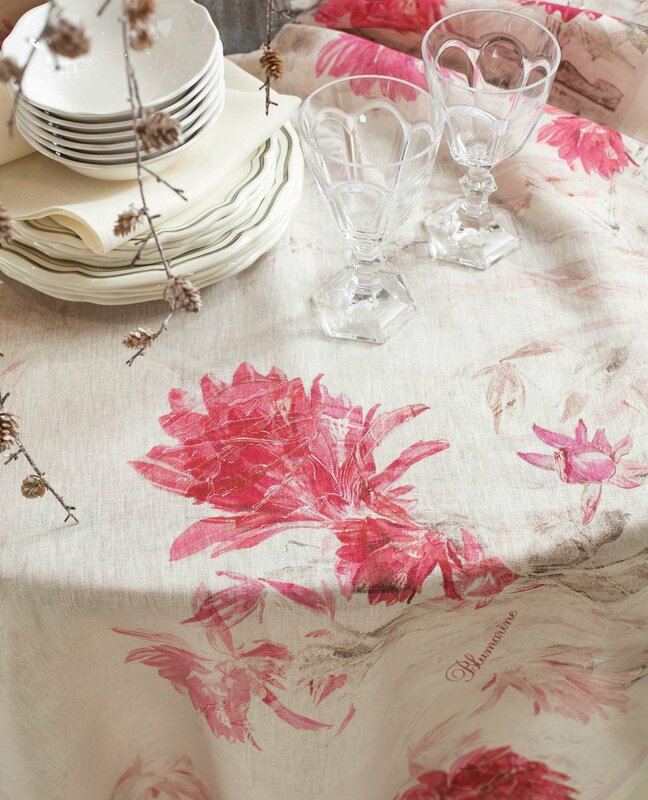 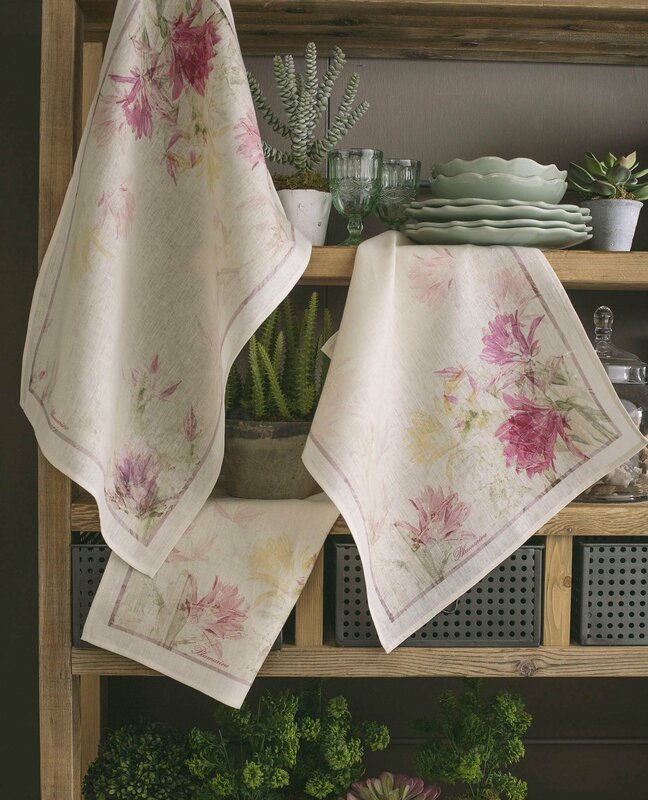 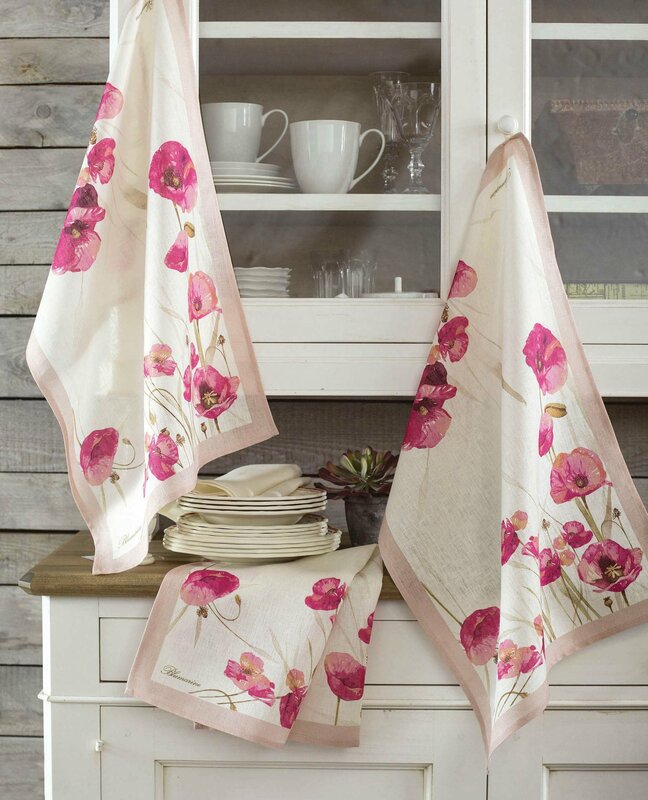 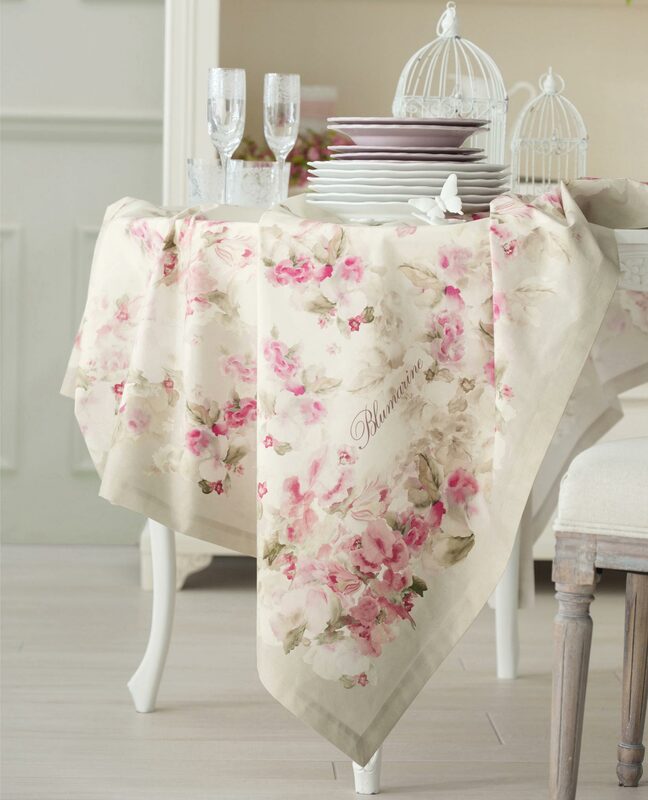 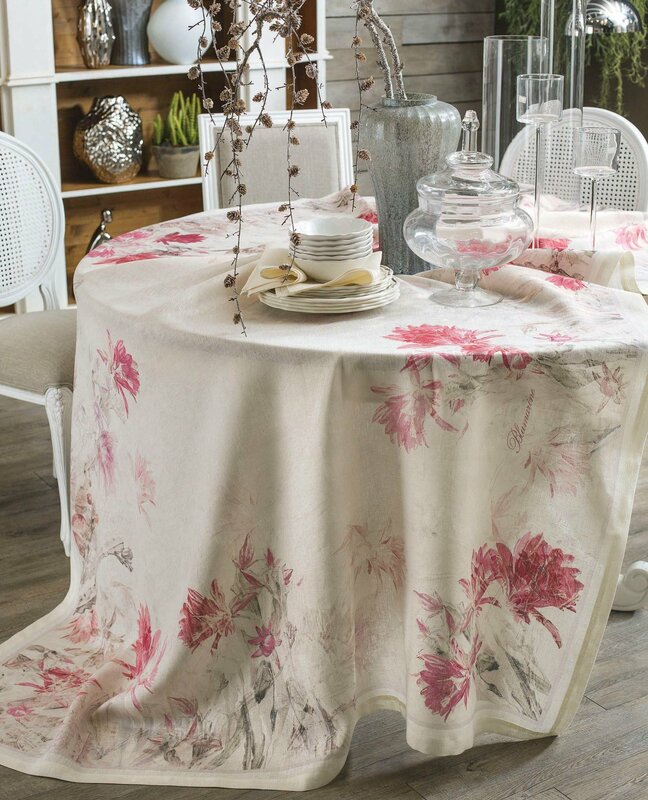 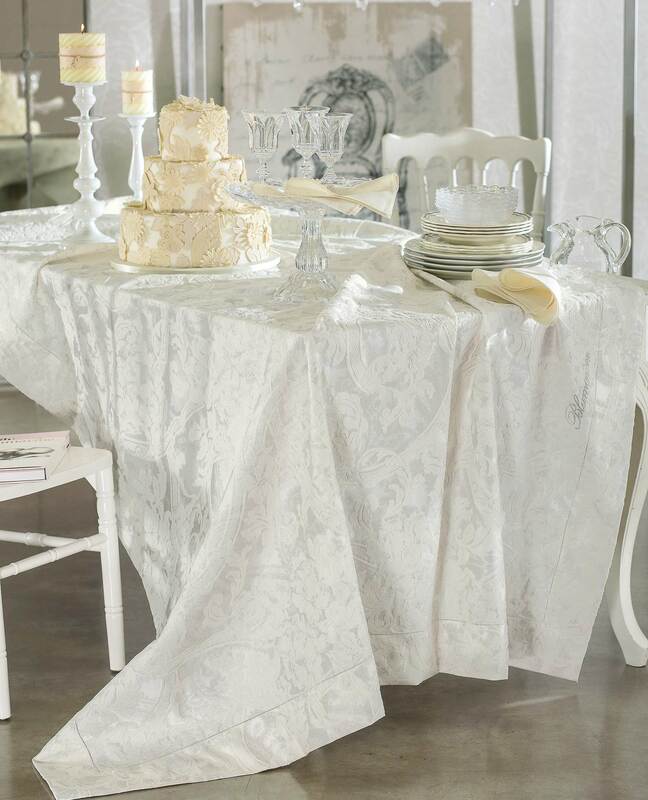 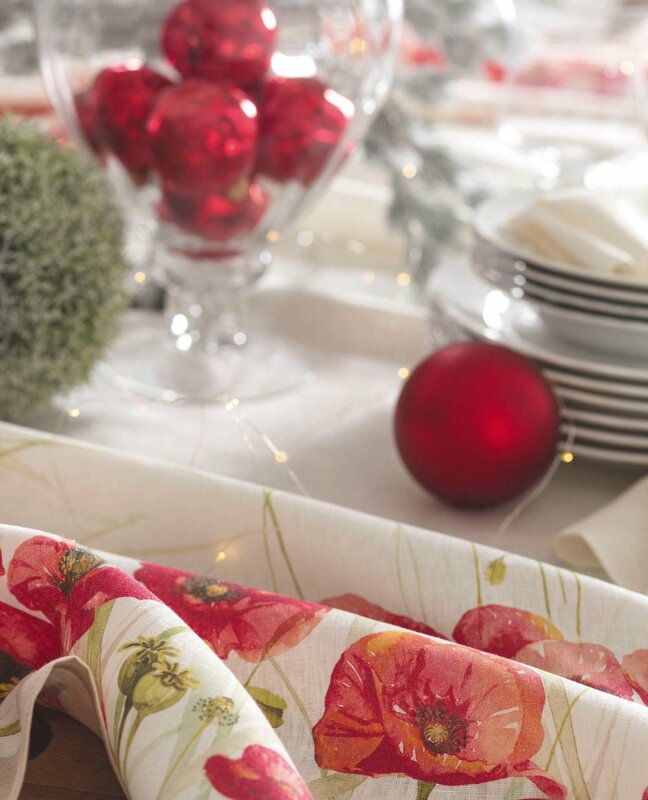 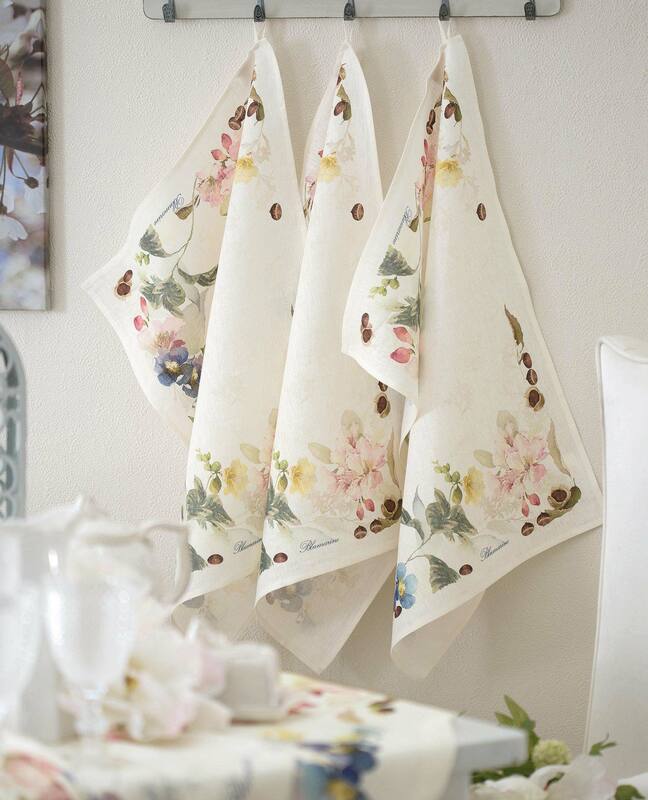 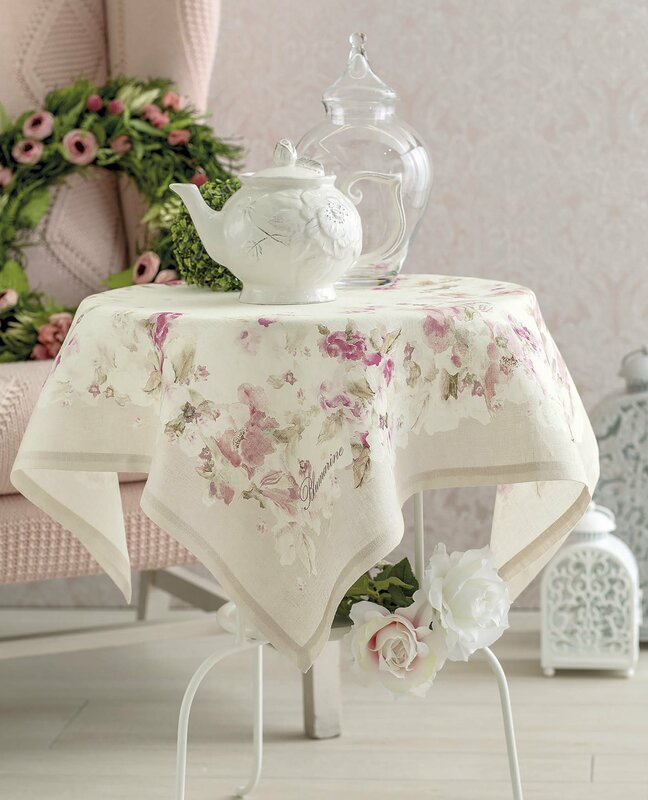 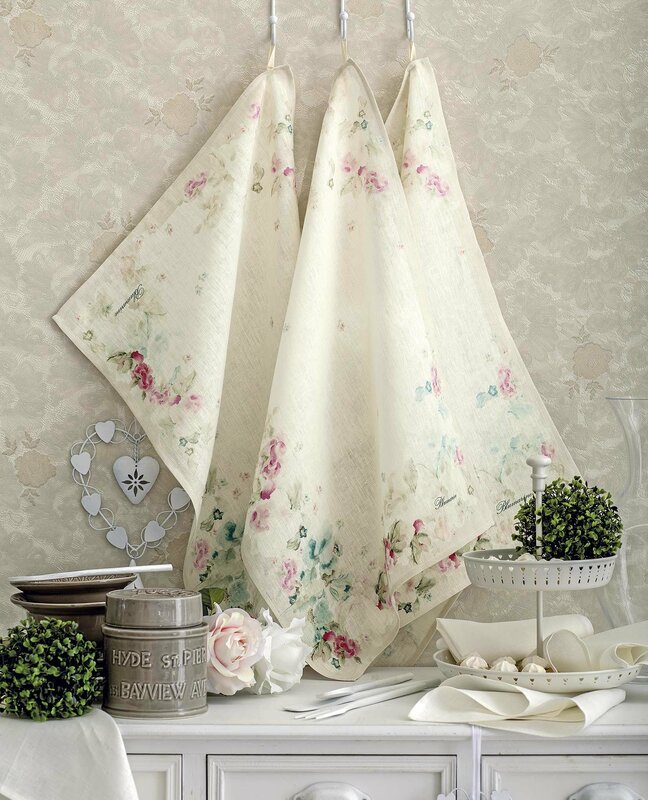 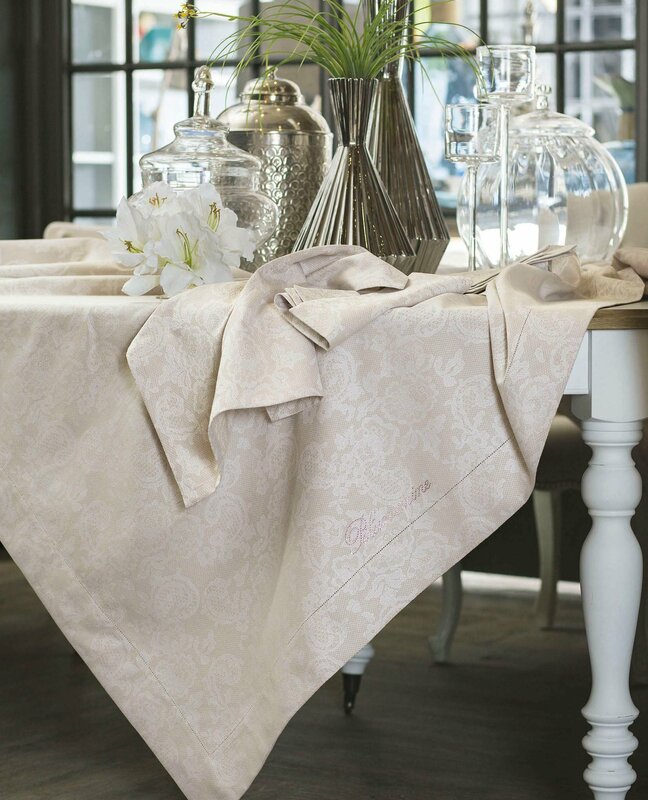 For the kitchen, the tablecloths feature floral and botanical prints, inspired by the seasons, as well as the more formal offerings where embellishments and embroideries make the difference, such as the voluptuous bath towels in the new “maison” textures.